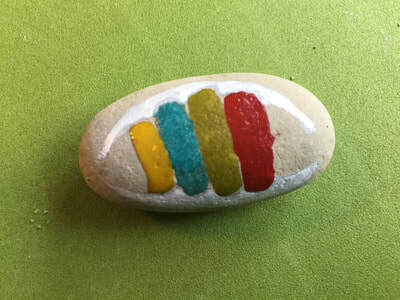 ​¡Enhorabuena y gracias si has adquirido una de estas piedras! 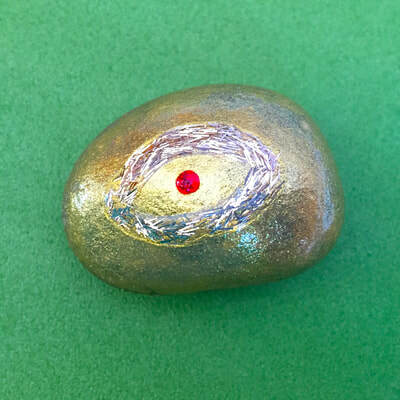 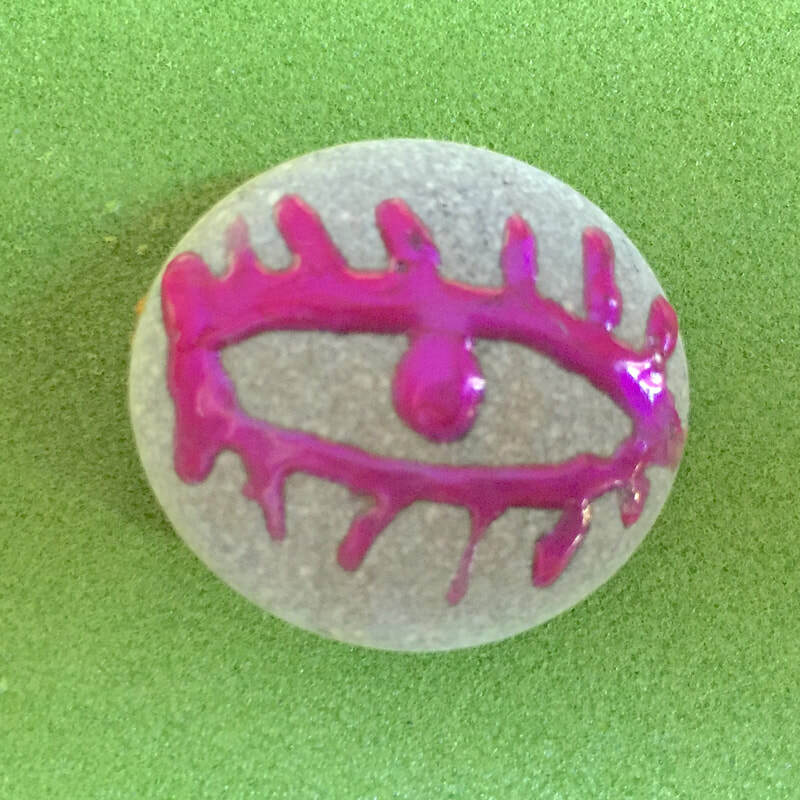 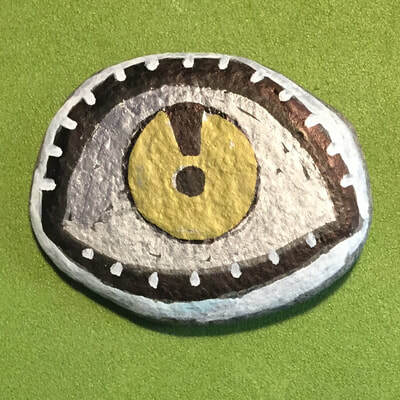 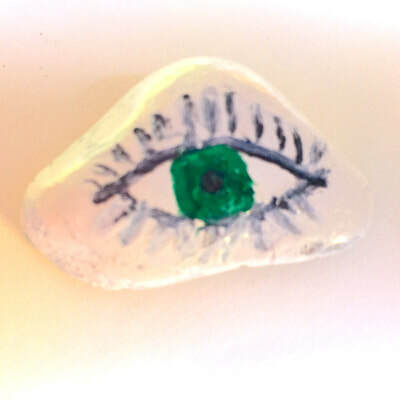 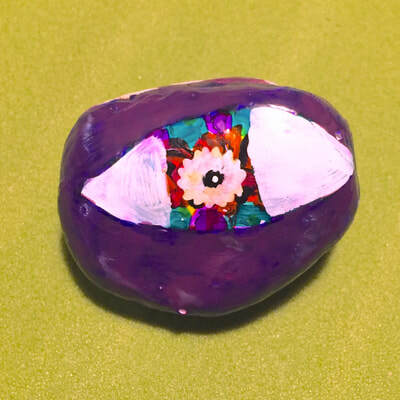 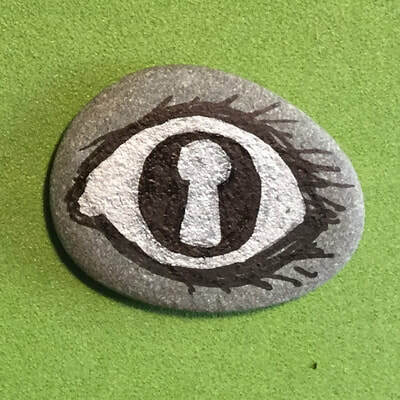 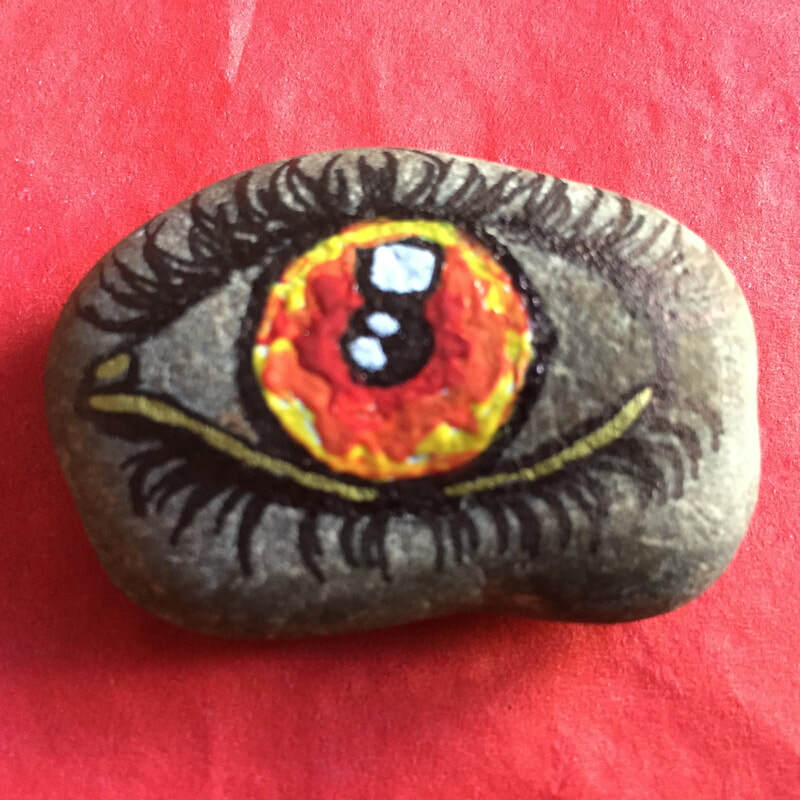 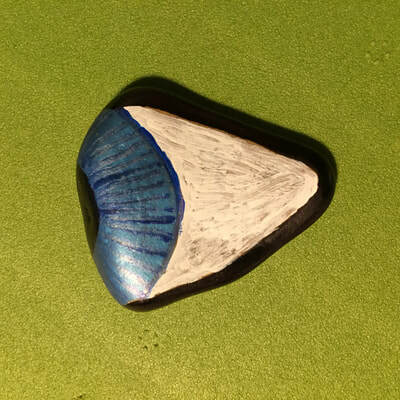 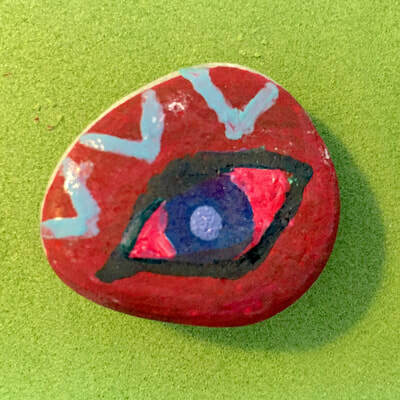 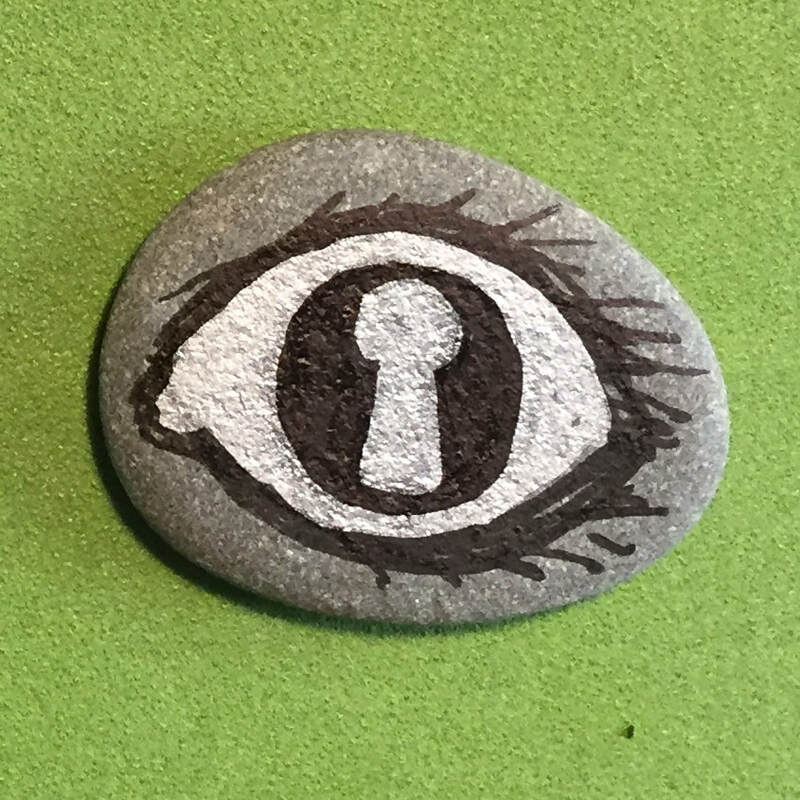 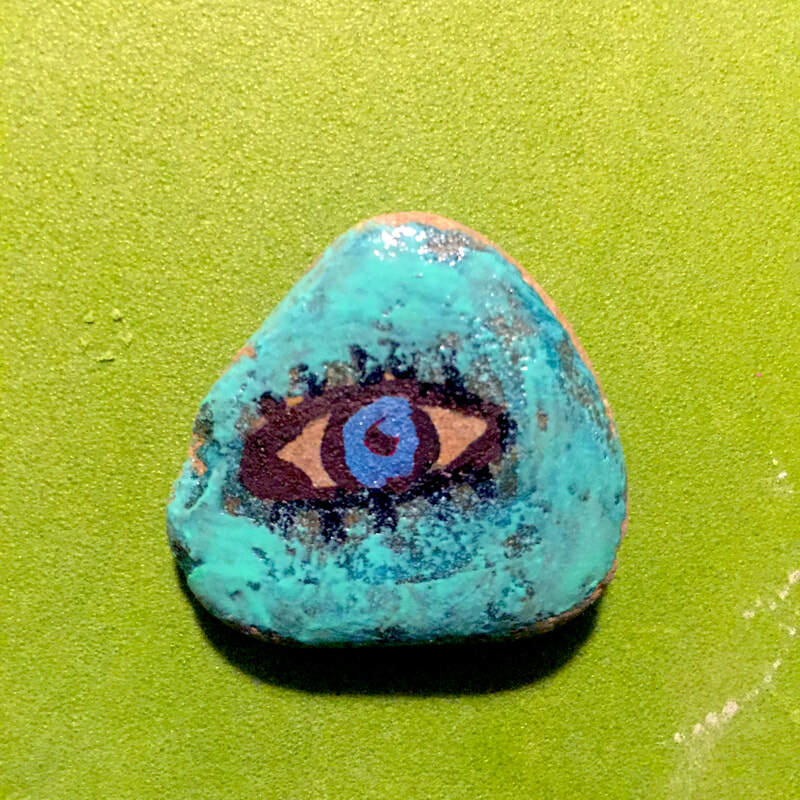 ​Congratulations and thank you if you​ have obtained one of these stones! 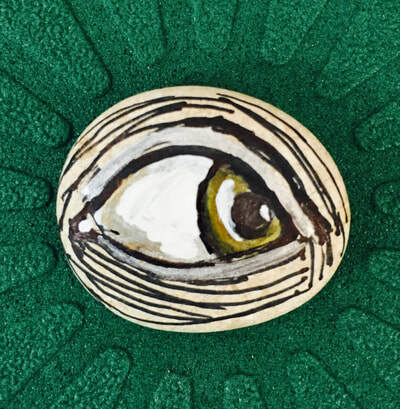 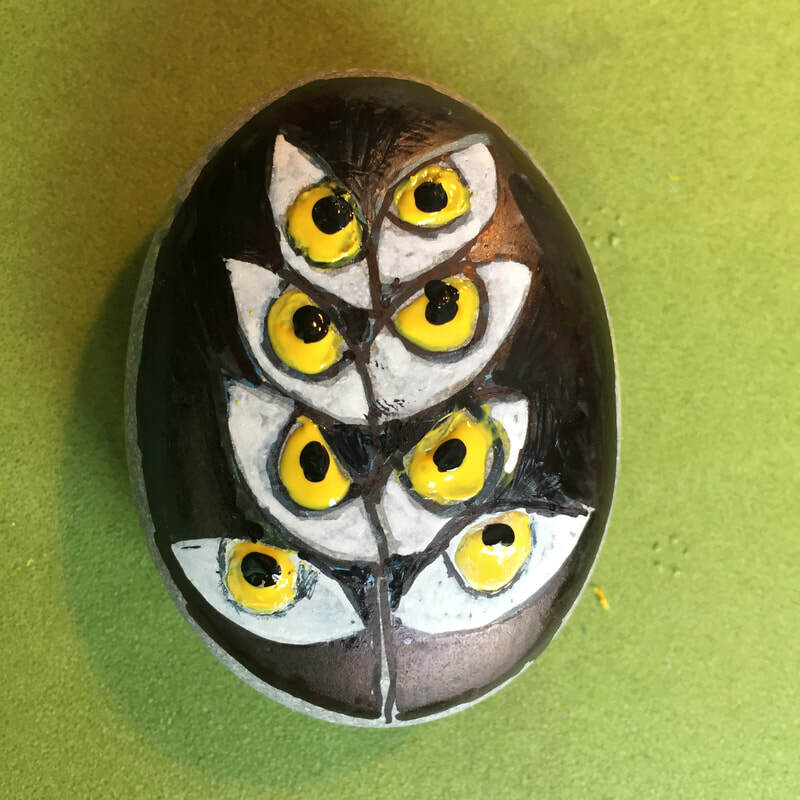 The first hundreds of eyes were painted by refugees, mainly Syrian, Iraqi and Afghan children. 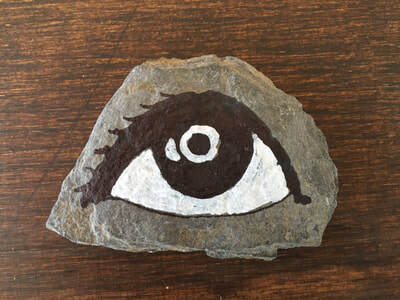 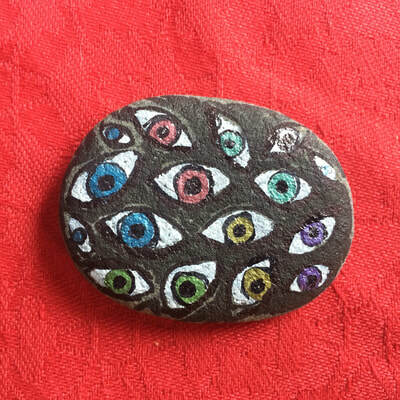 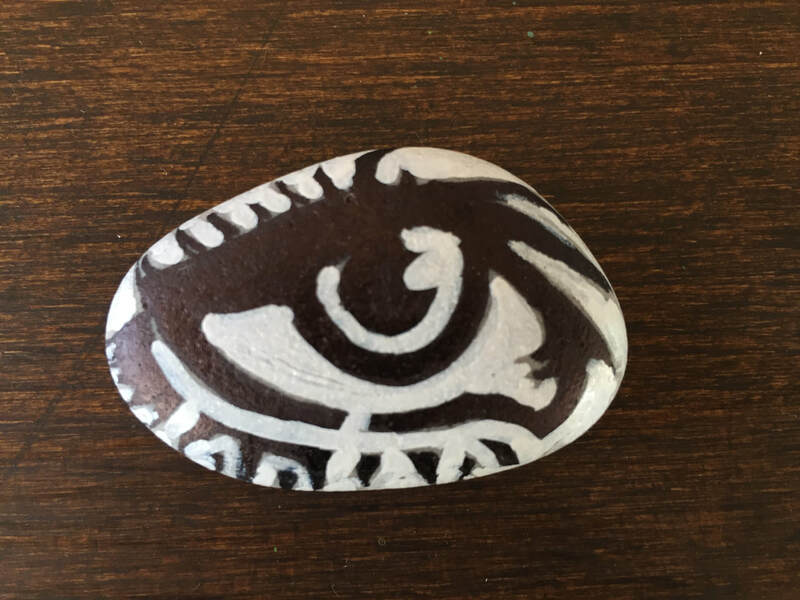 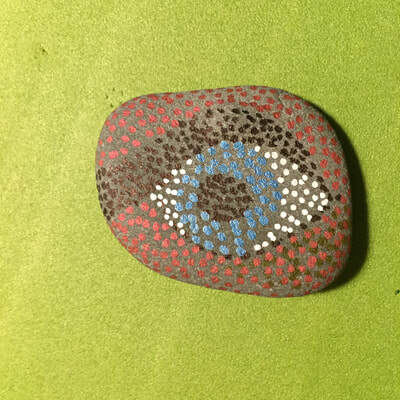 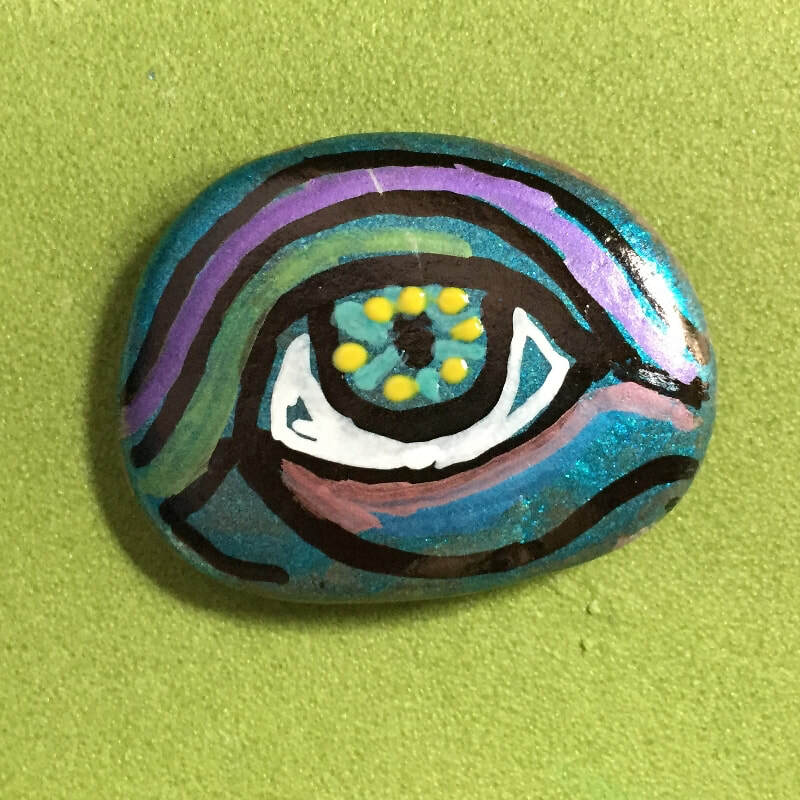 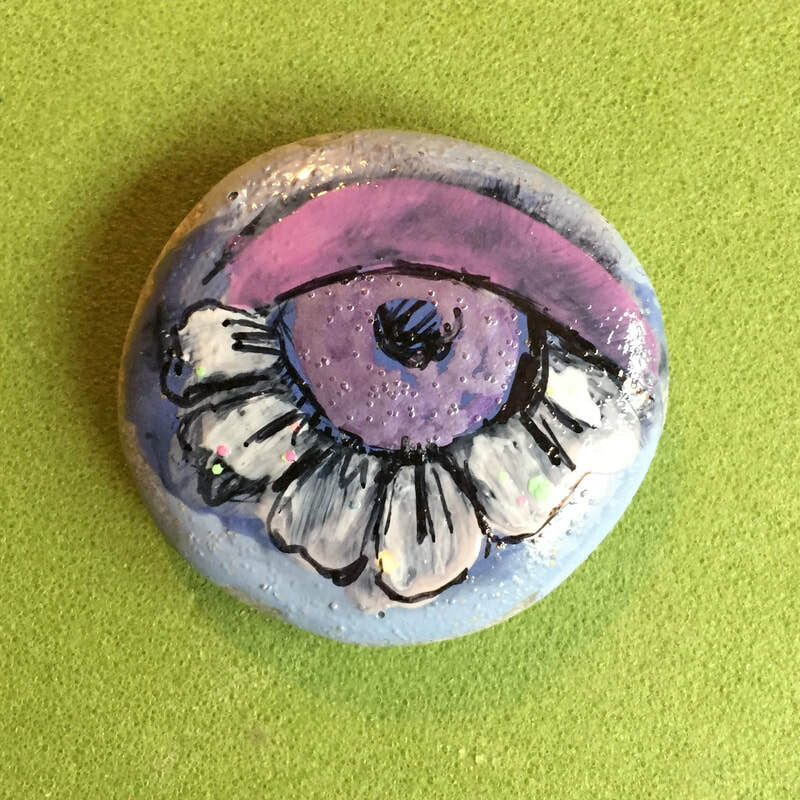 This initiative emerges after several trips as a volunteer in different refugee camps with the idea of transmitting hope, helping to raise awareness through workshops in schools where we talk about the refugeess situation and paint eyes on stones that symbolize the will to see and to empathize with them as well as to give financial support through all the solidarity stores.. 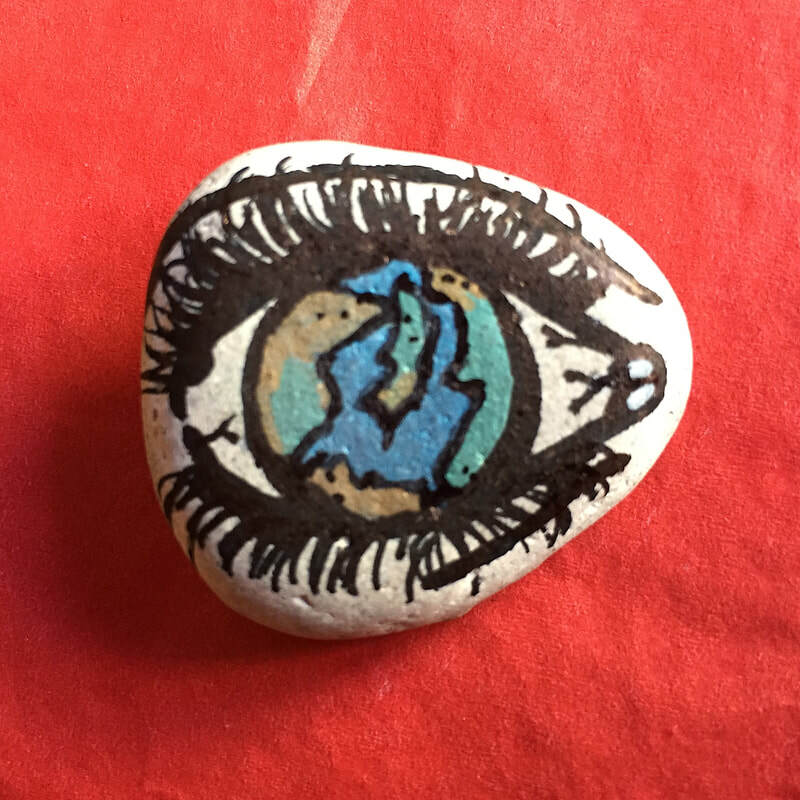 It was my desire to continue contributing drop by drop from my city and to involve others. Soon many people joined the initiative, standing out for their great participation and drive, the RefugArt group of the American School of Barcelona, as well as many other children from different schools, shops, collectives, friends, relatives, etc. 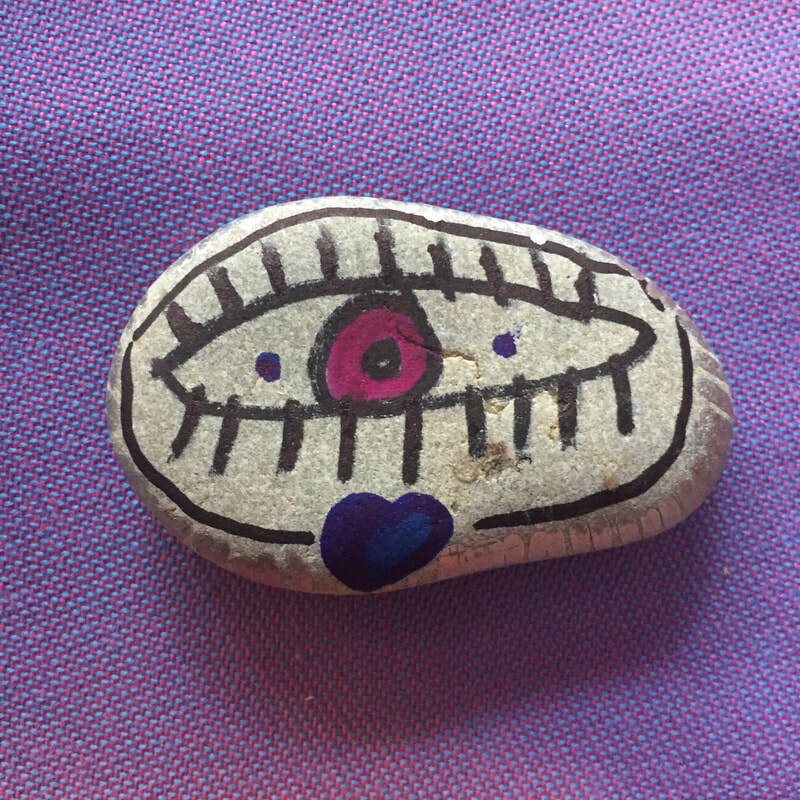 ​CADA OJO ES ÚNICO Y SIMBOLIZA AL MISMO NIÑO QUE LO PINTÓ. 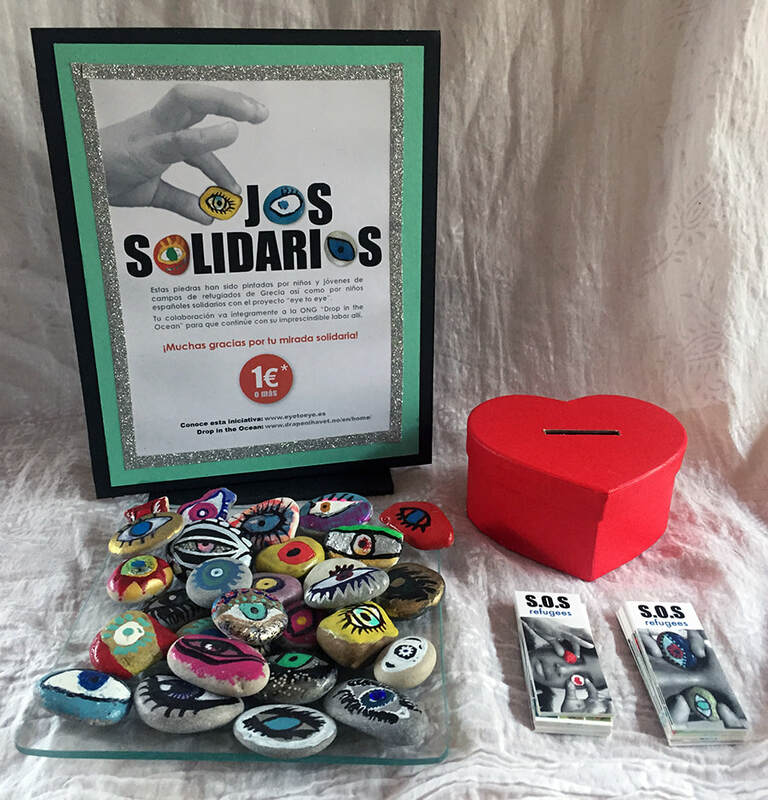 Ese niño que ha experimentado la guerra, las carencias, la pérdida, la desescolarización, y que continúa sufriendo la falta de solidaridad. 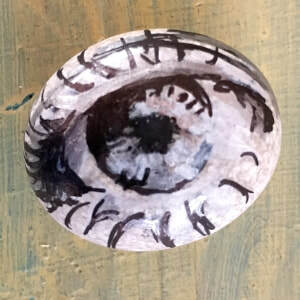 También me gustaría pensar que representa el ojo de la buena suerte y de la protección que tanto necesitan. 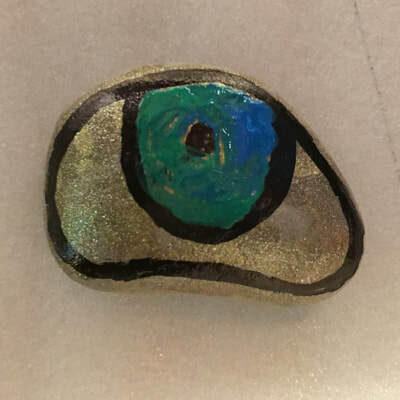 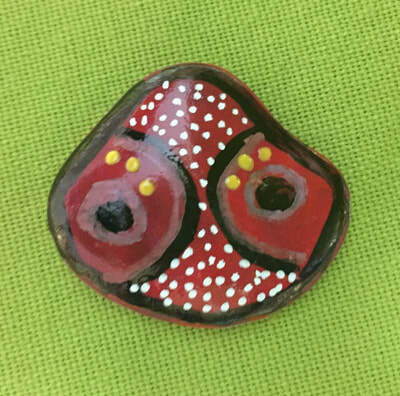 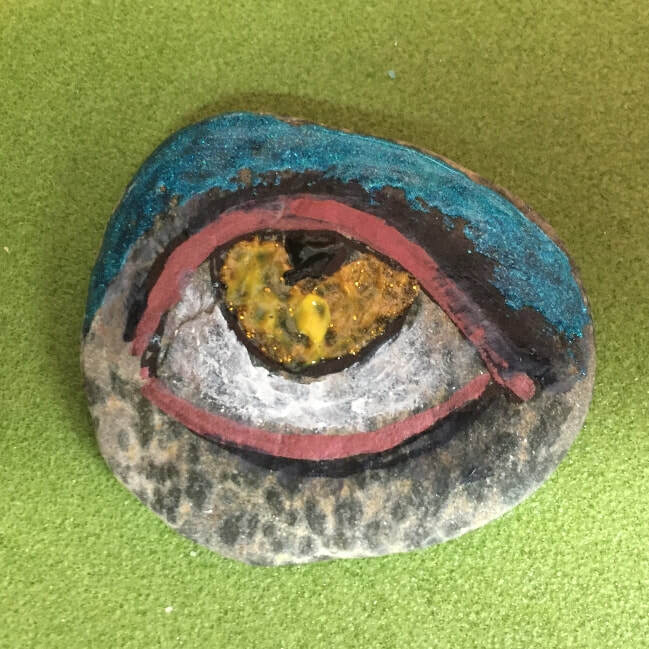 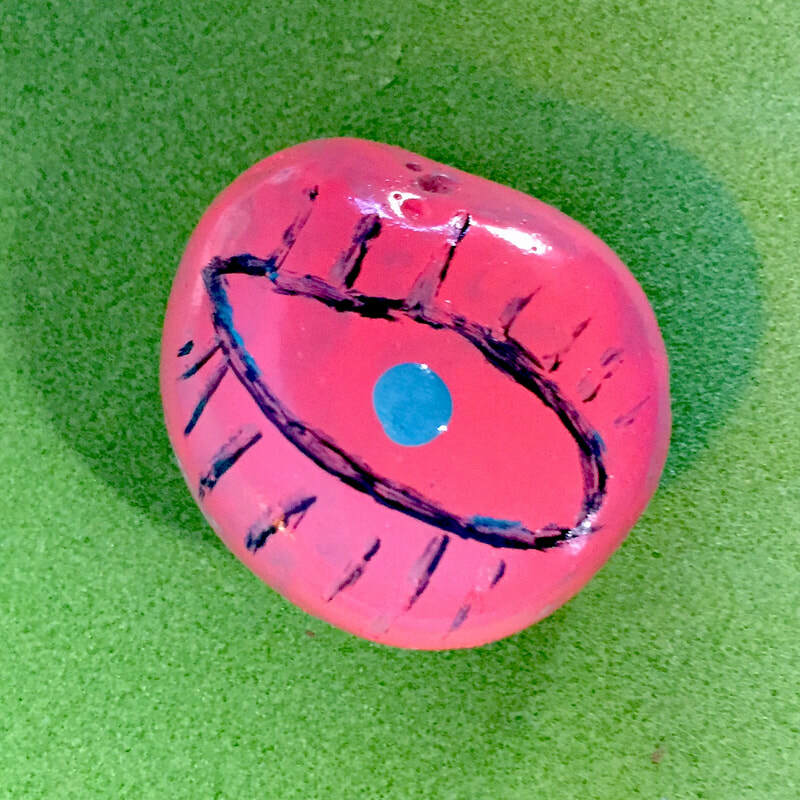 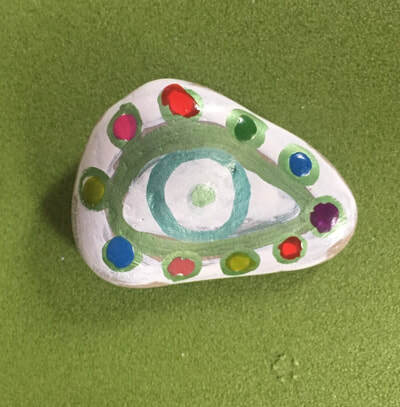 EACH PAINTED EYE IS UNIQUE AND SYMBOLIZES THAT CHILD WHO PAINTED IT. 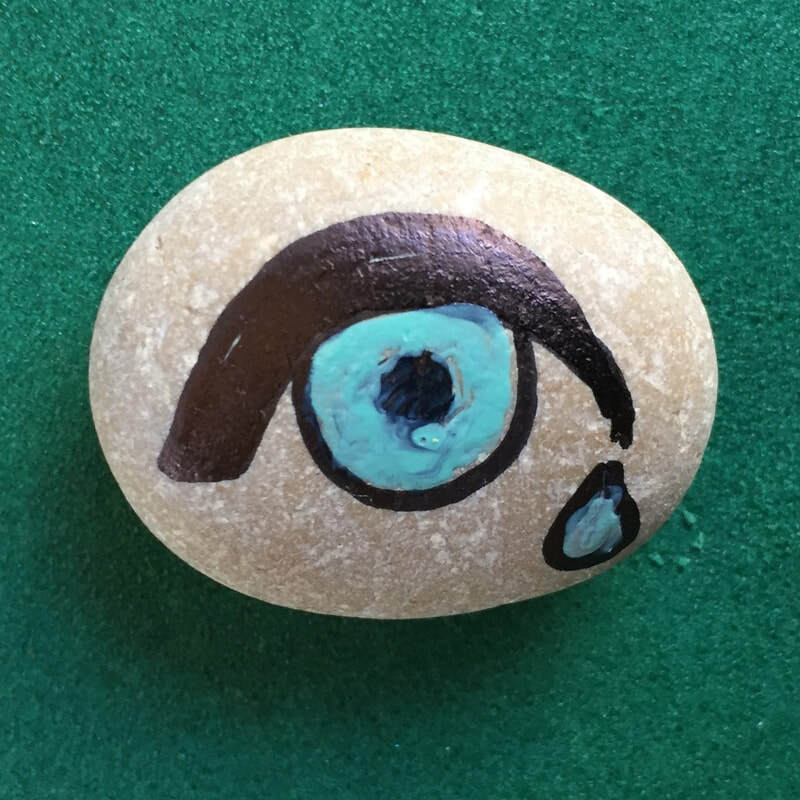 This child who has experienced war, deprivation, loss, deschooling, and who continues to suffer the lack of solidarity. I also would like to think, that respresents the eye of the good fortune and of the protection that they so badly still need. 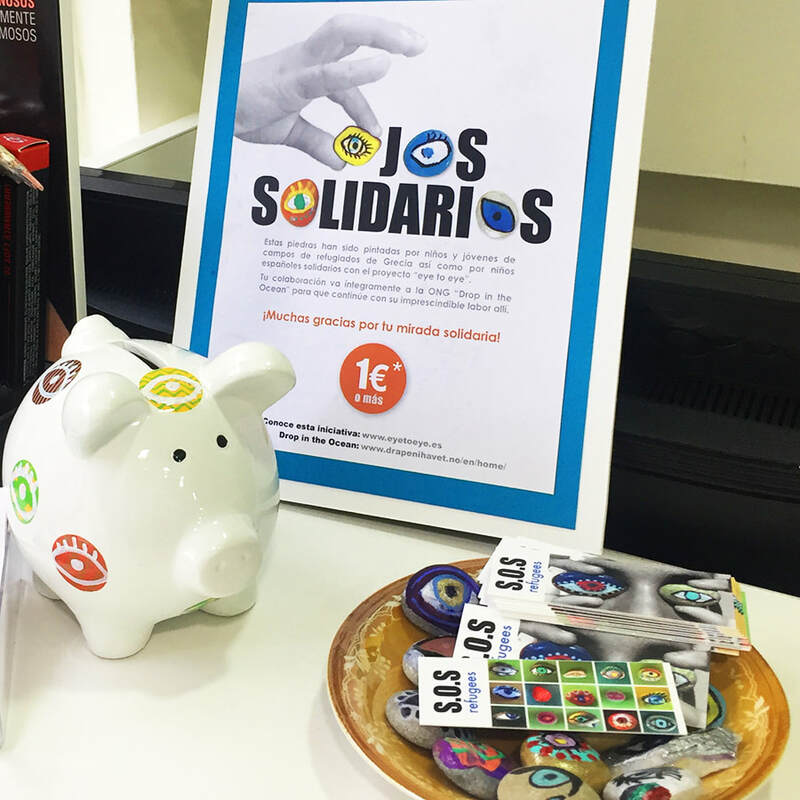 ​El dinero recaudado va íntegramente a una ONG llamada “Drop in the Ocean” www.drapenihavet.no/en para que continúen con su incansable labor dando todo tipo de soporte en los campos de refugiados más necesitados. 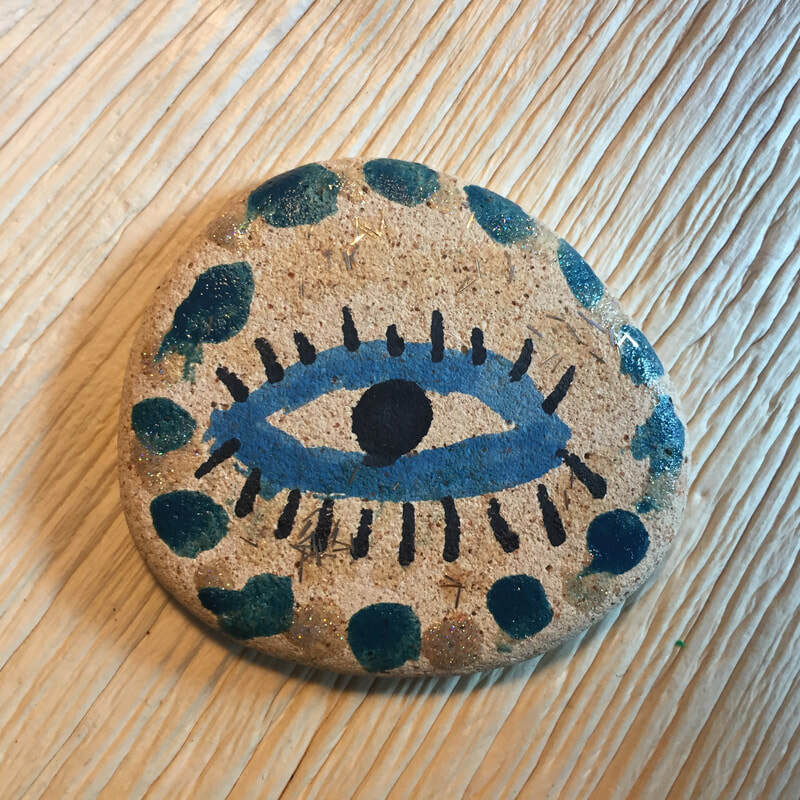 All the money collected will be entirely donated to a ONG called "Drop in the Ocean" www.drapenihavet.no/en so that they can continue with their amazing and tireless support at the most needed refugees camps. ​Si eres una tienda y estas interesado en participar ofreiéndo un pequeño espacio en el mostrador para colocar las piedras, una hucha y un cartel no dudes en ponerte en contacto: contact@eyetoeye.es No tendrás que ocuparte de nada, nosotros te facilitaremos todo el material y pasaremos a recoger las huchas y proporcionar nuevas piedras. 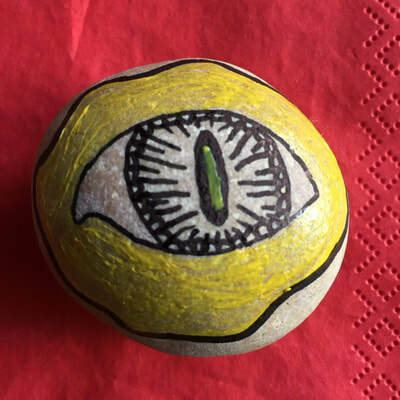 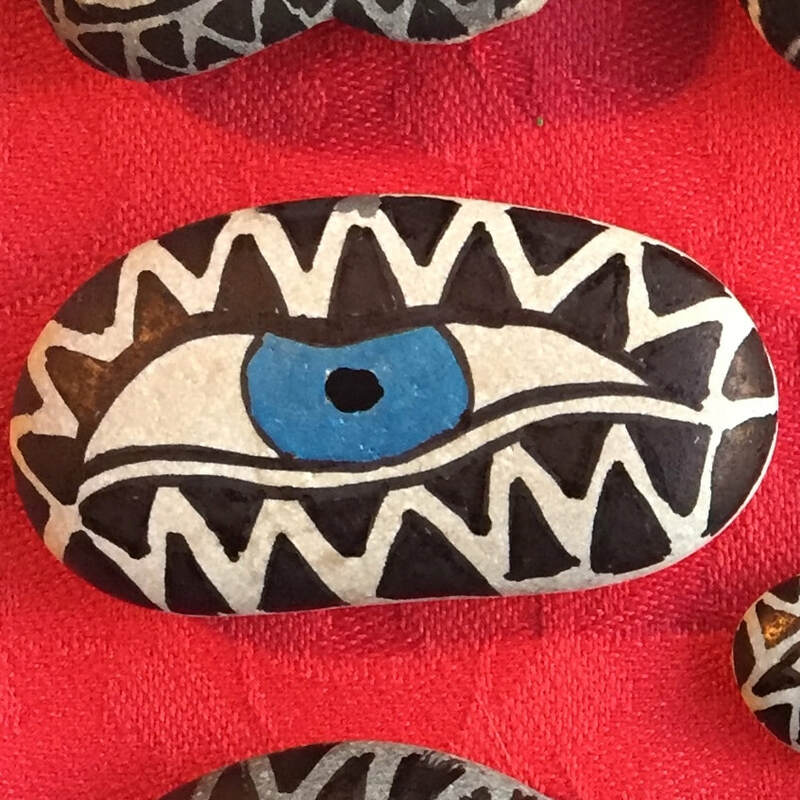 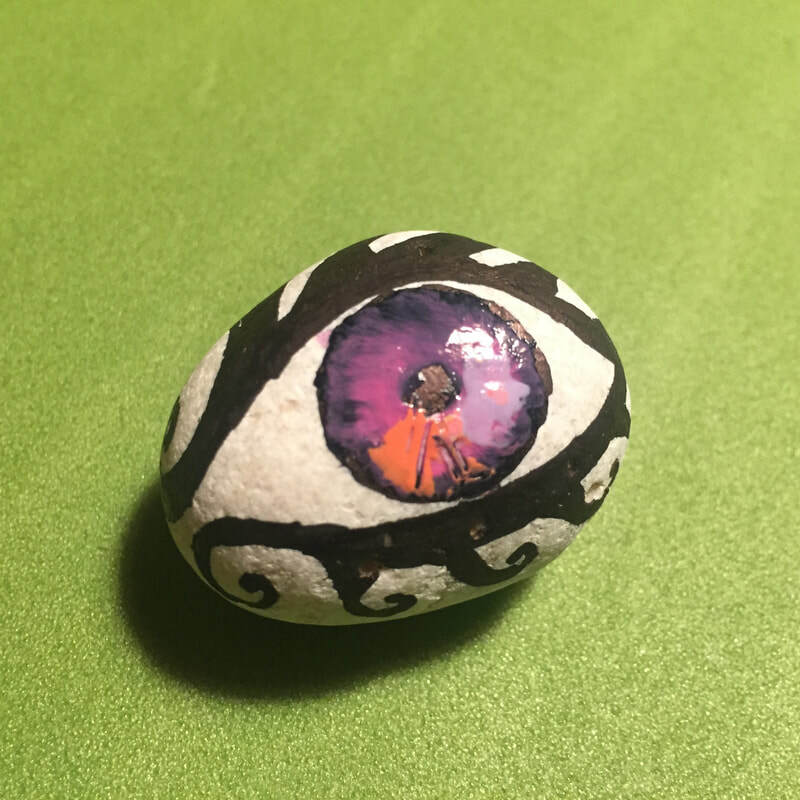 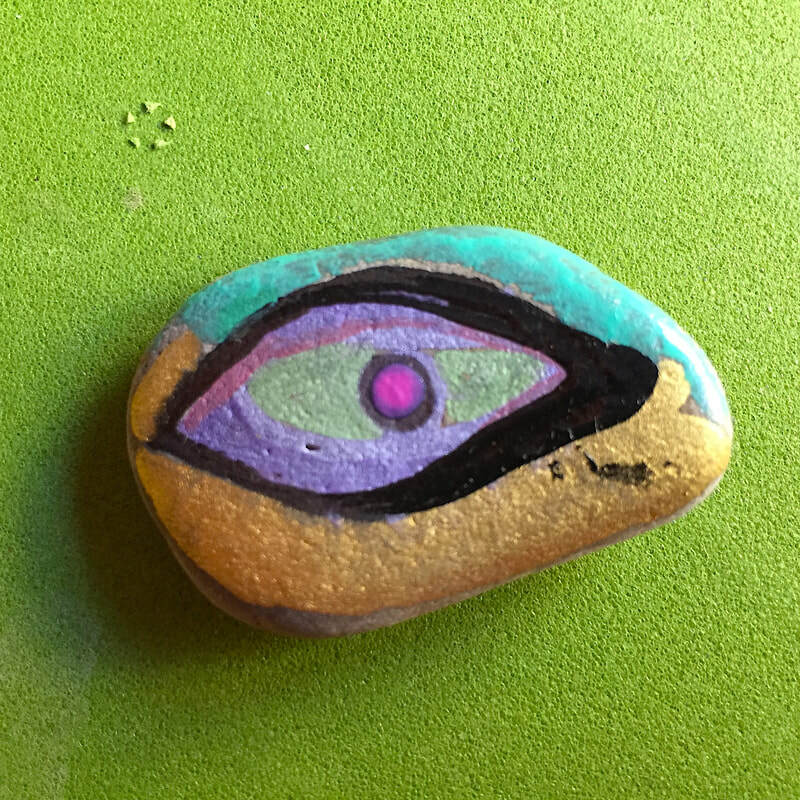 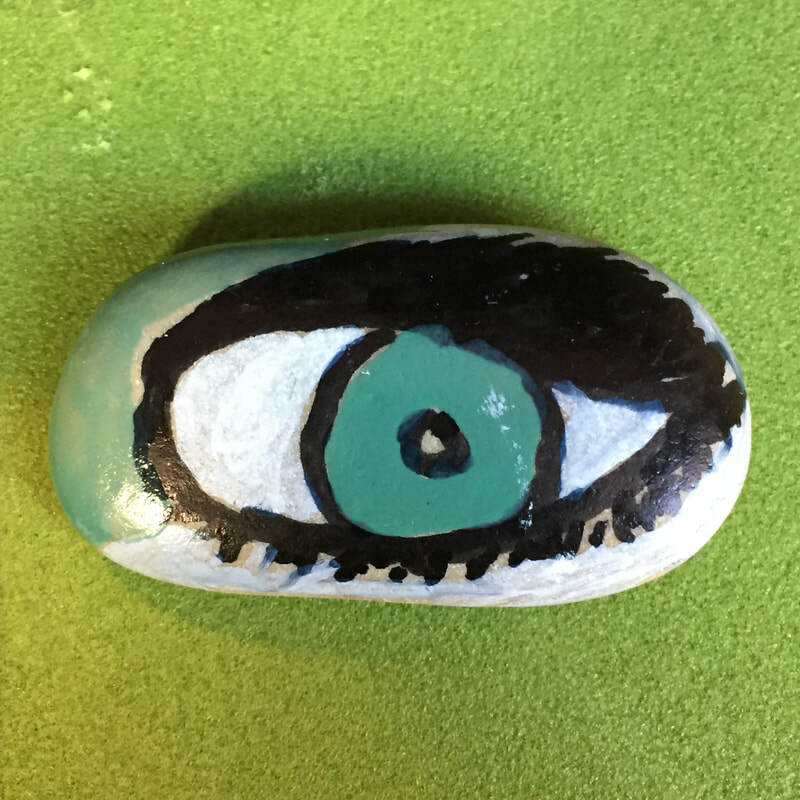 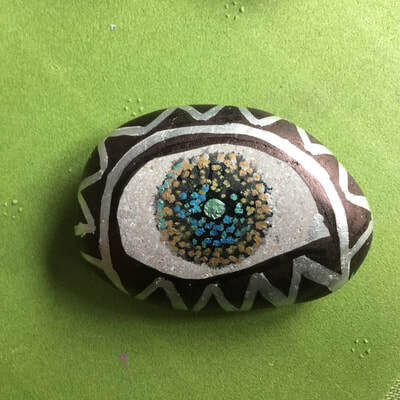 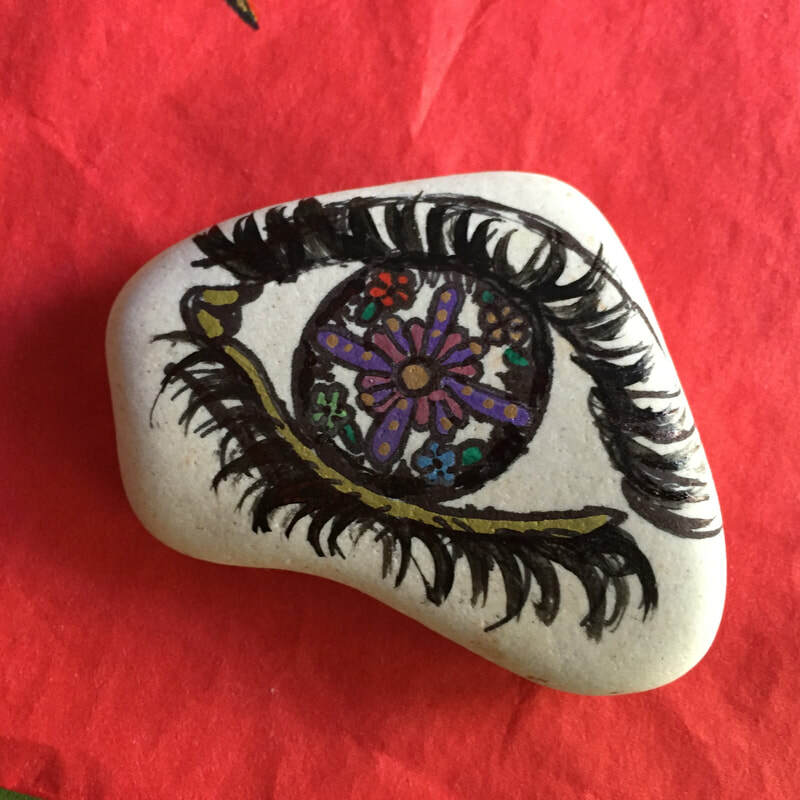 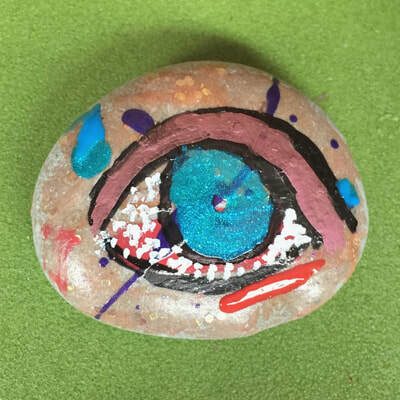 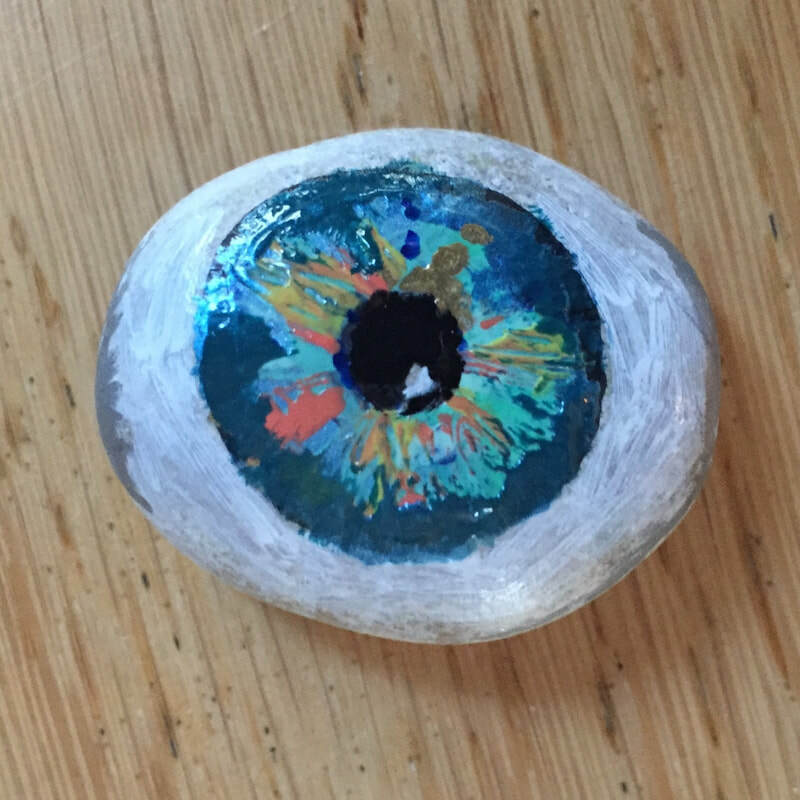 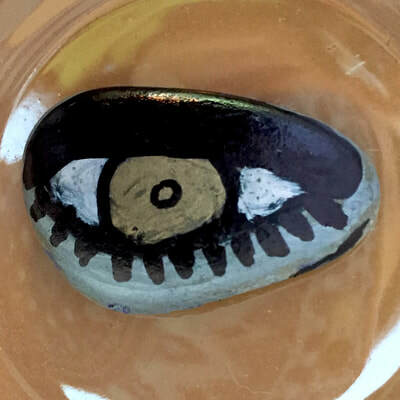 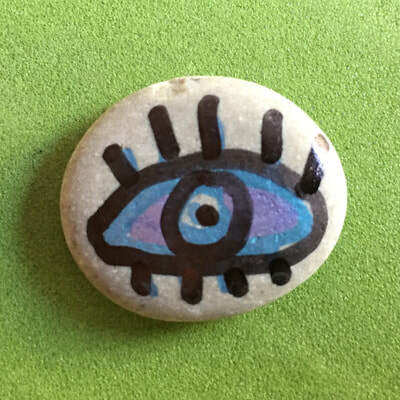 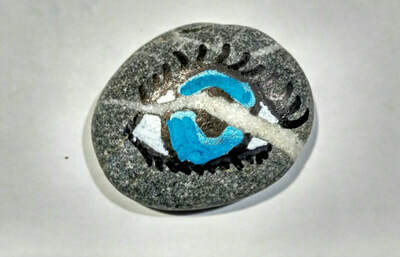 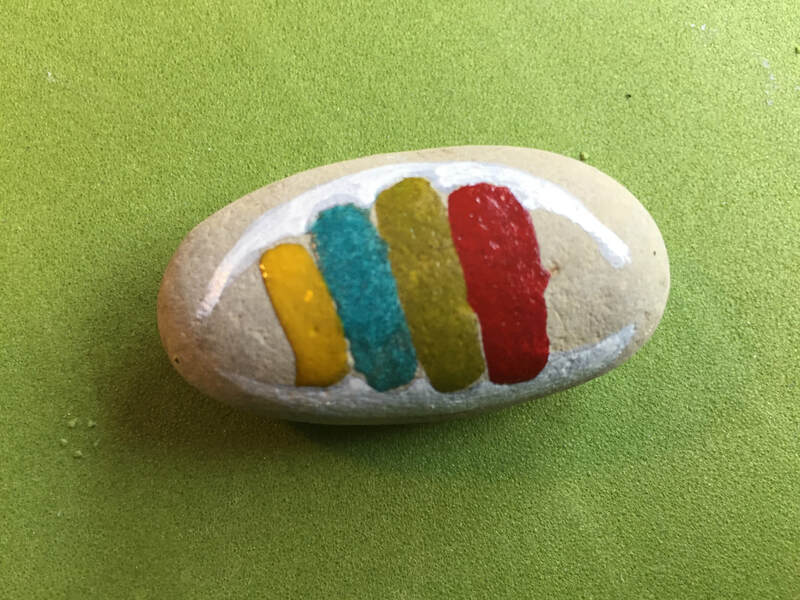 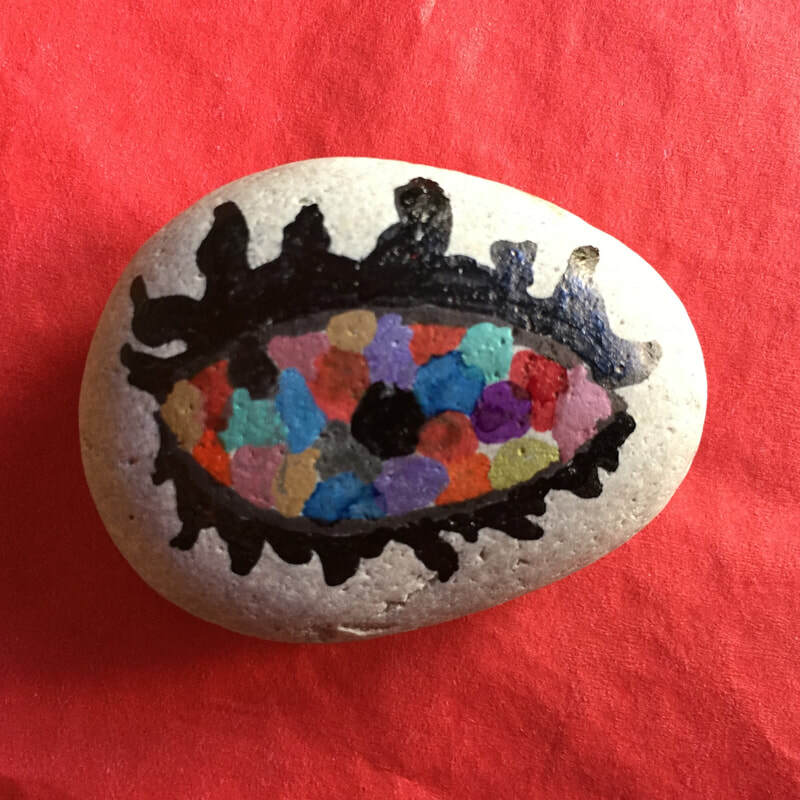 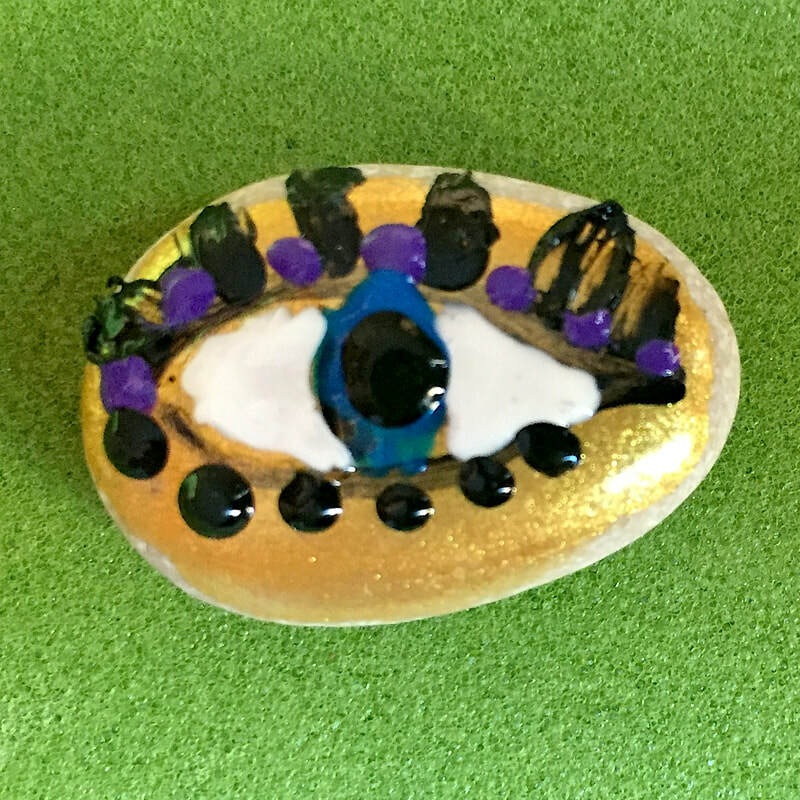 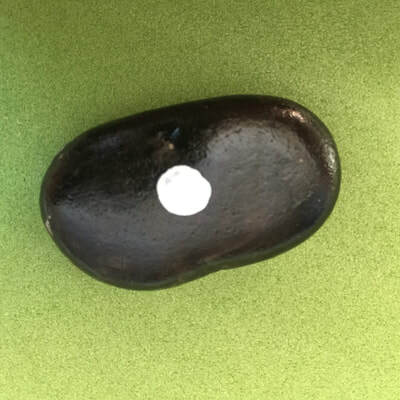 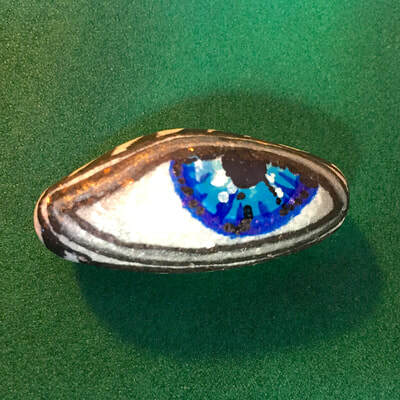 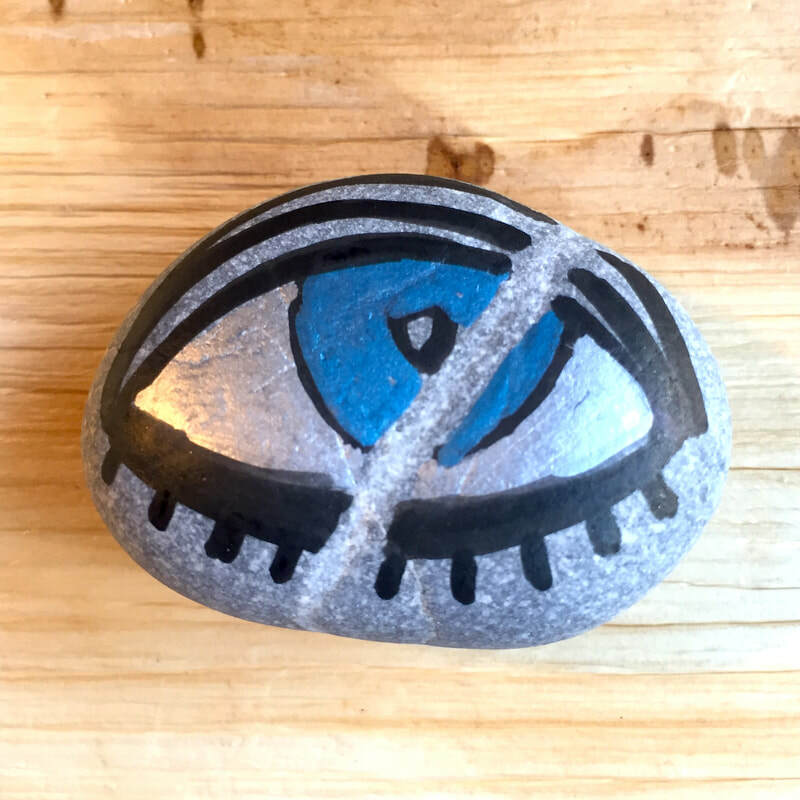 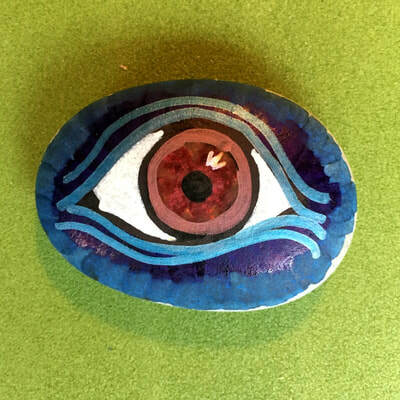 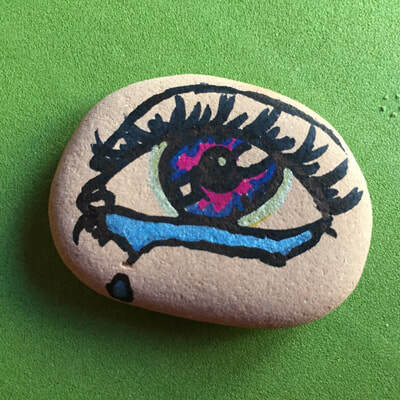 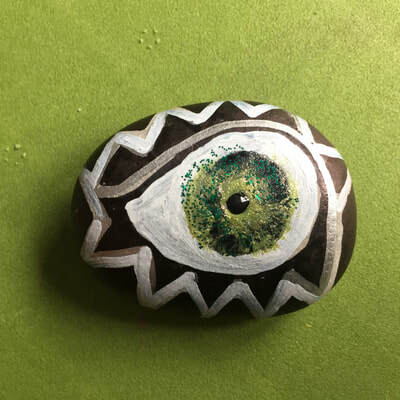 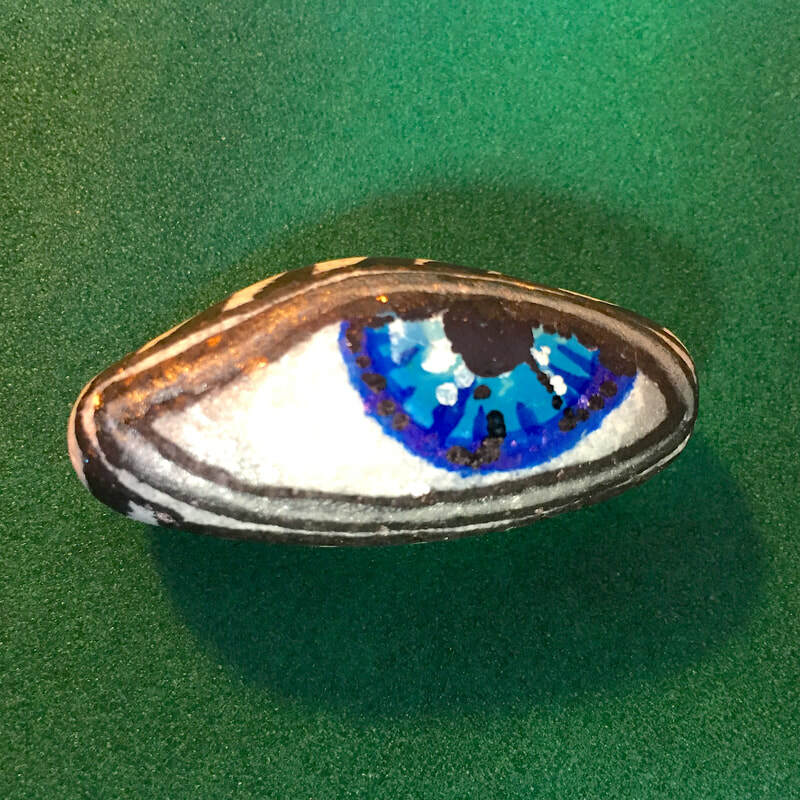 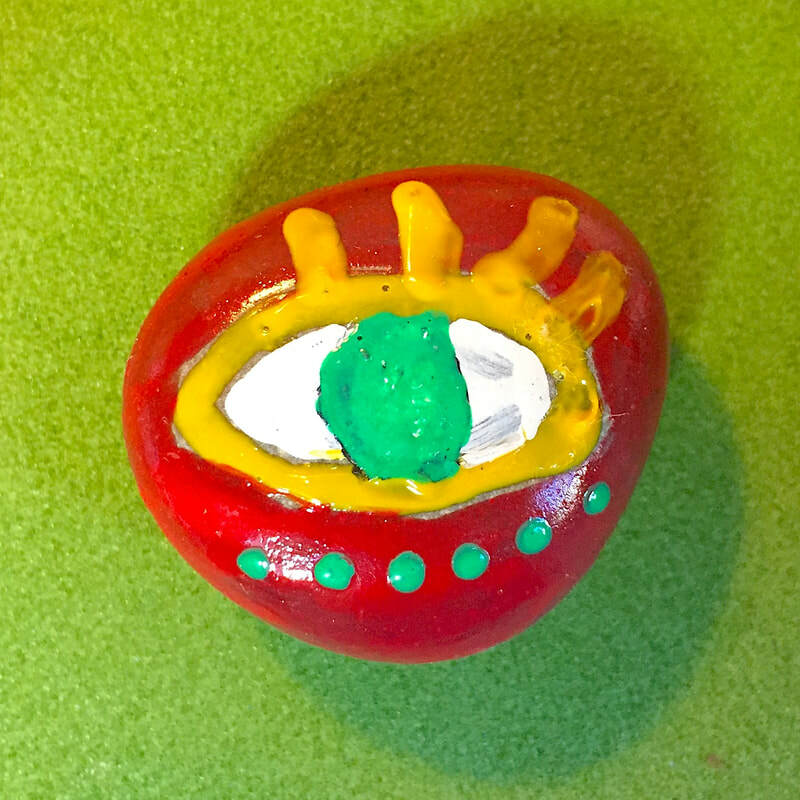 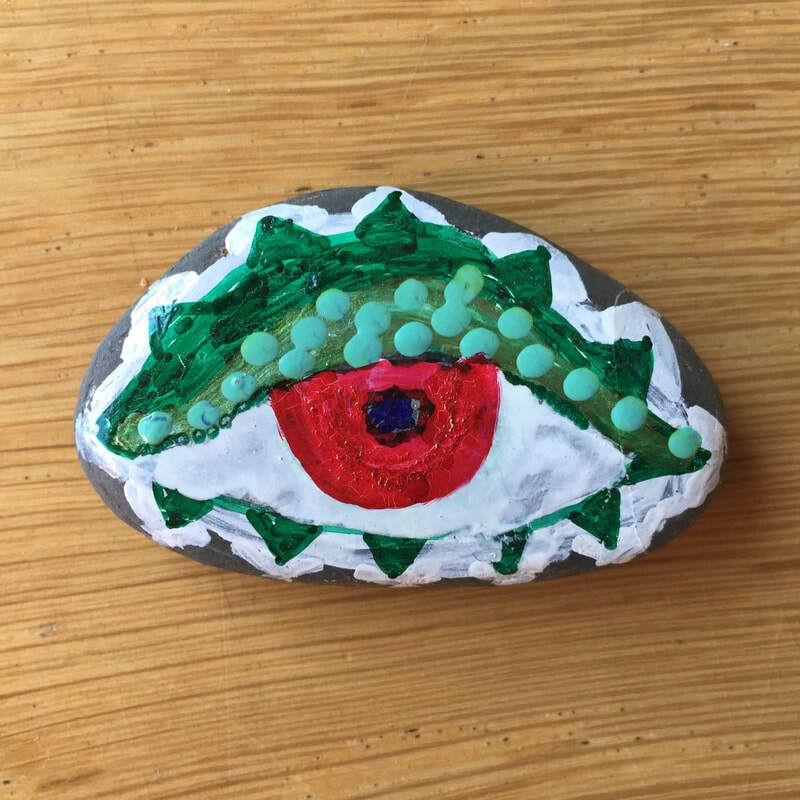 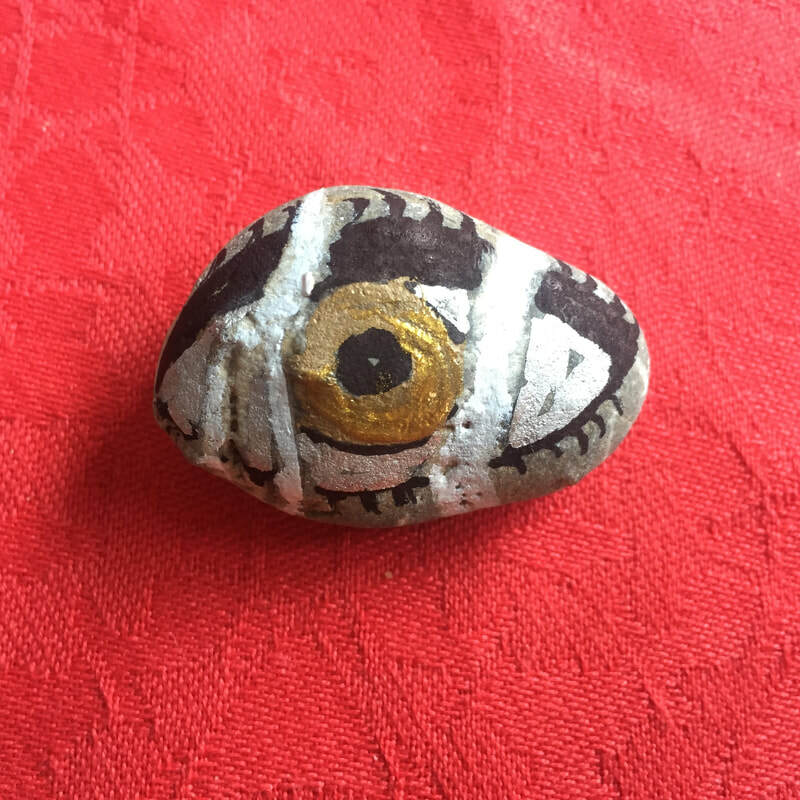 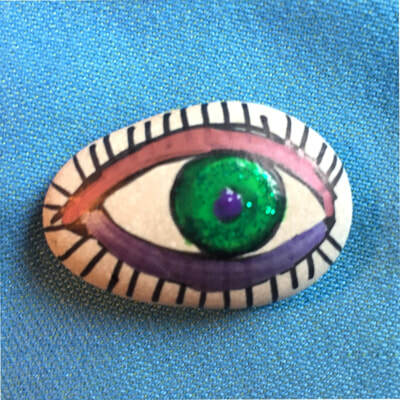 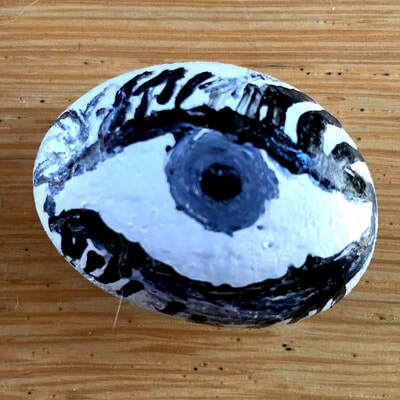 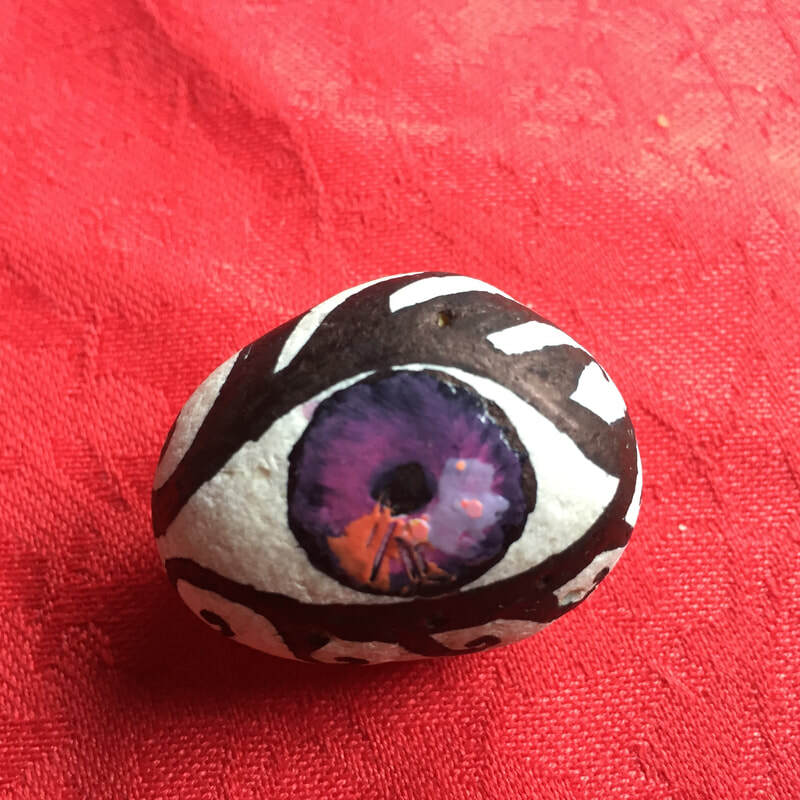 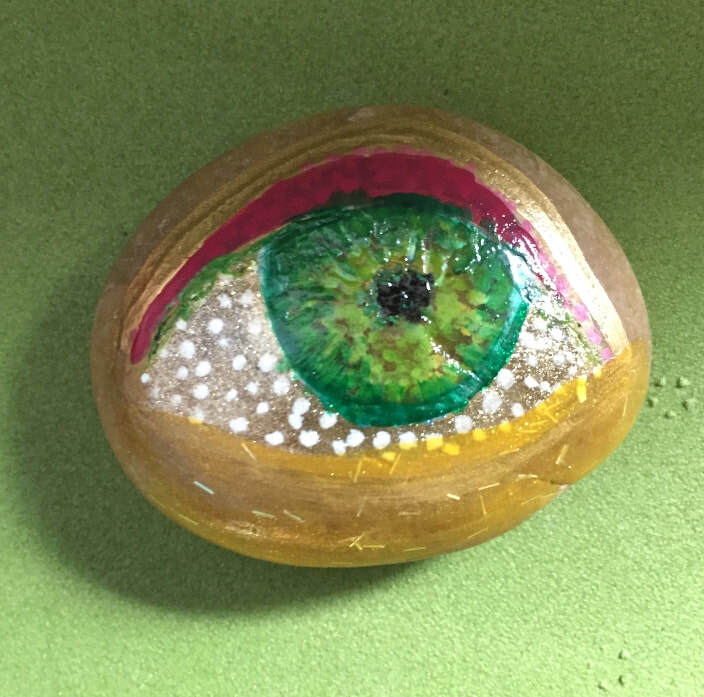 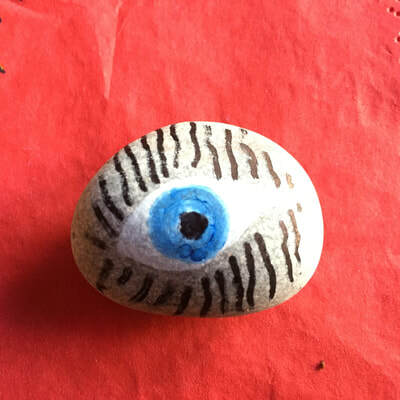 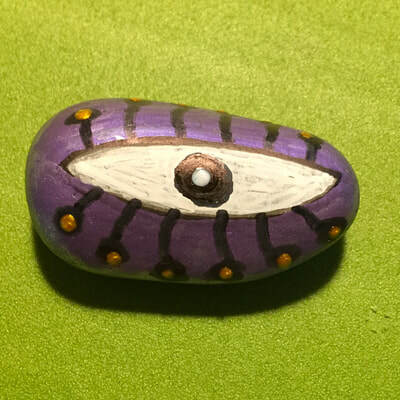 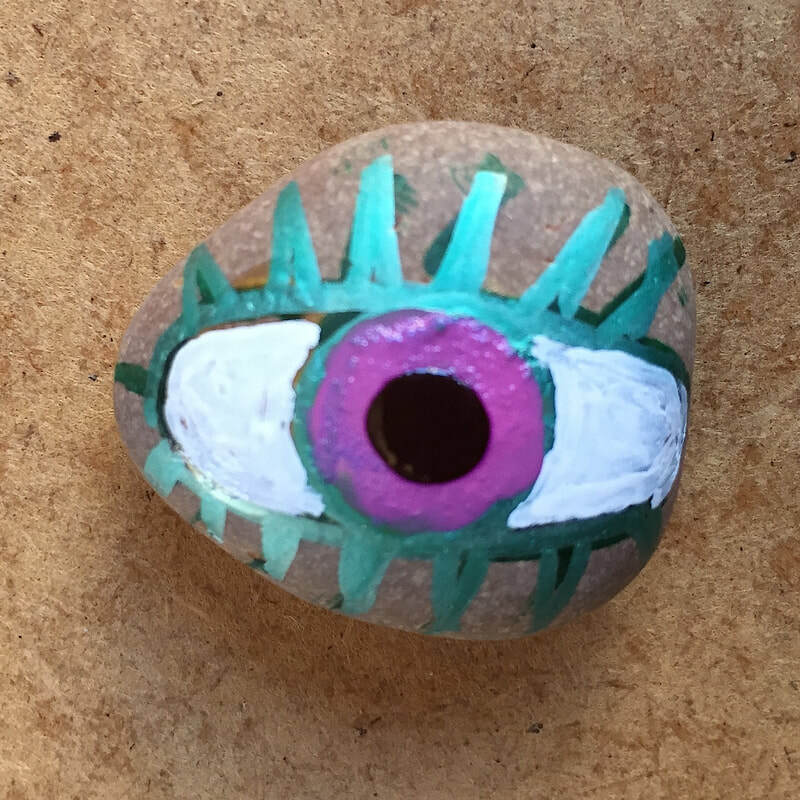 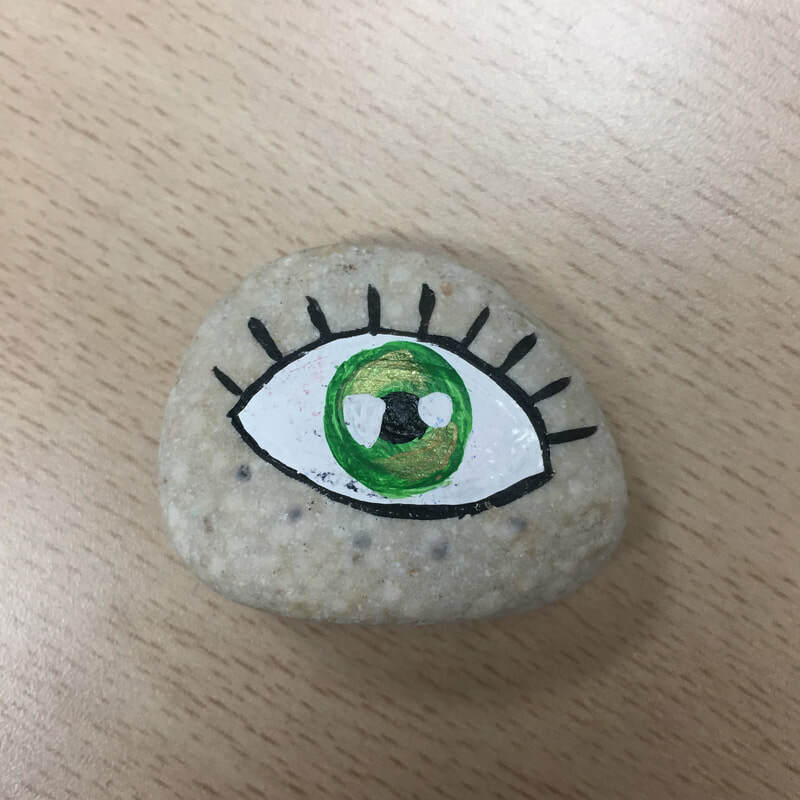 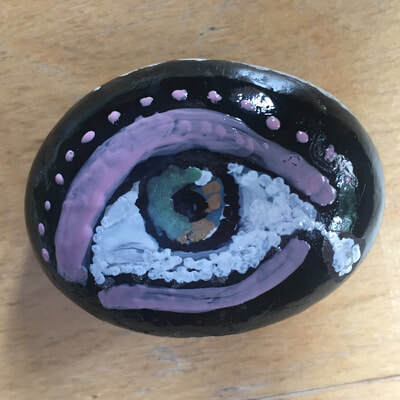 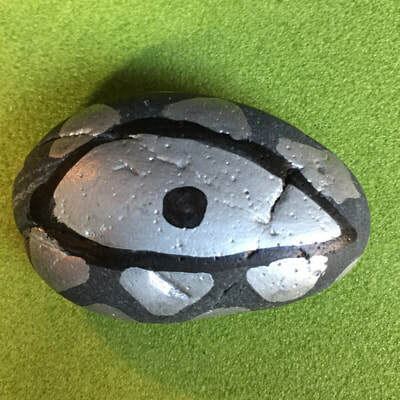 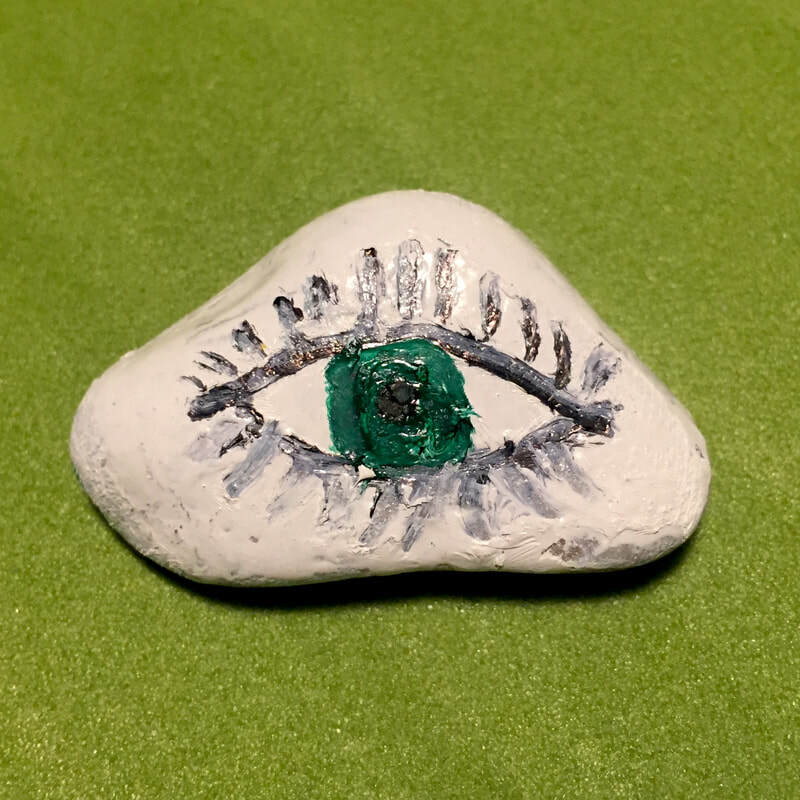 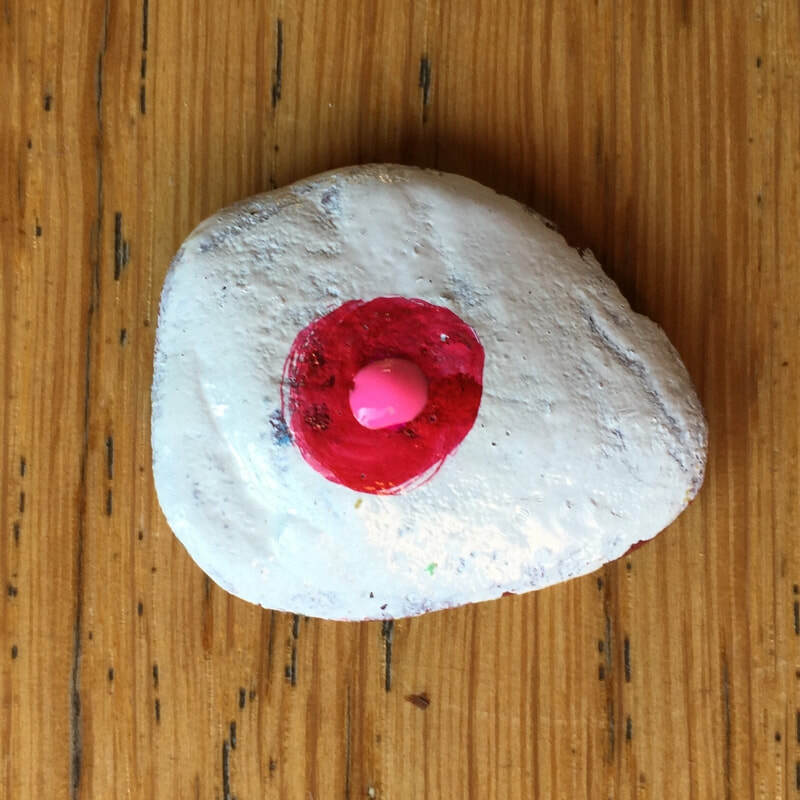 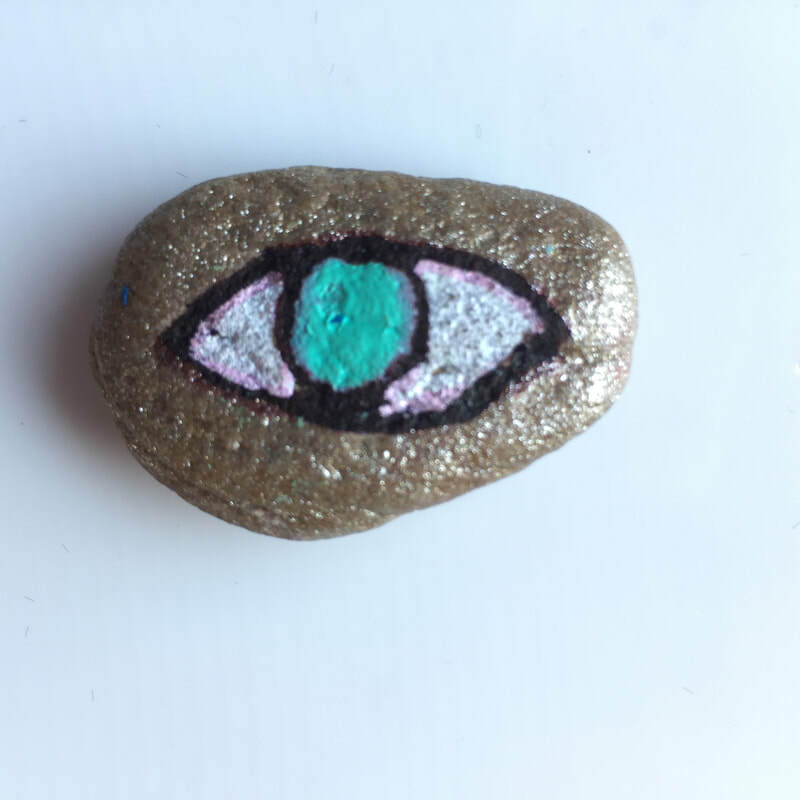 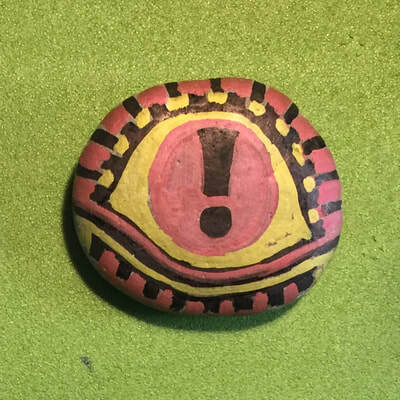 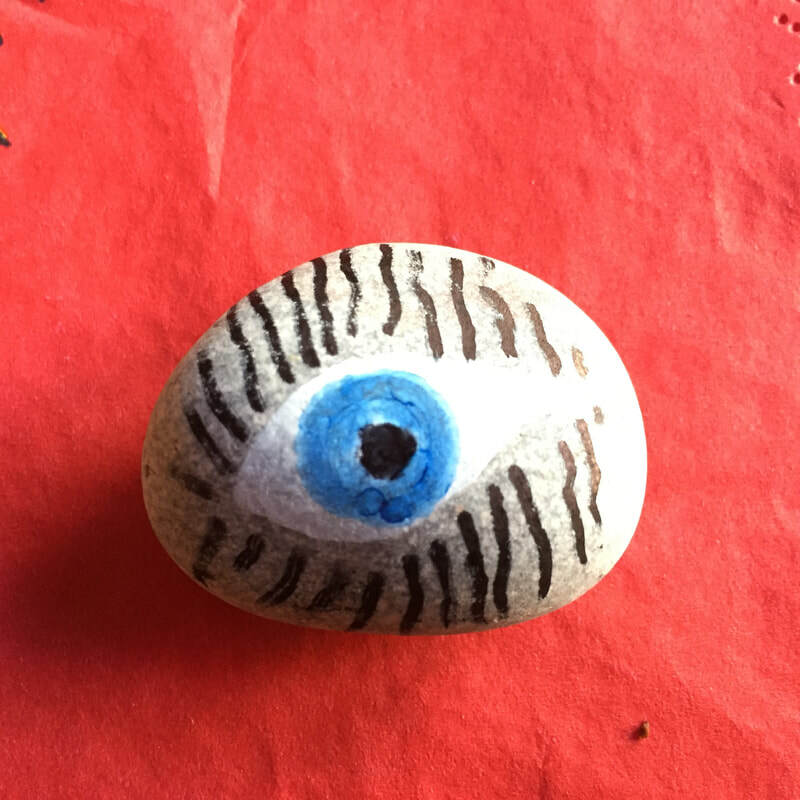 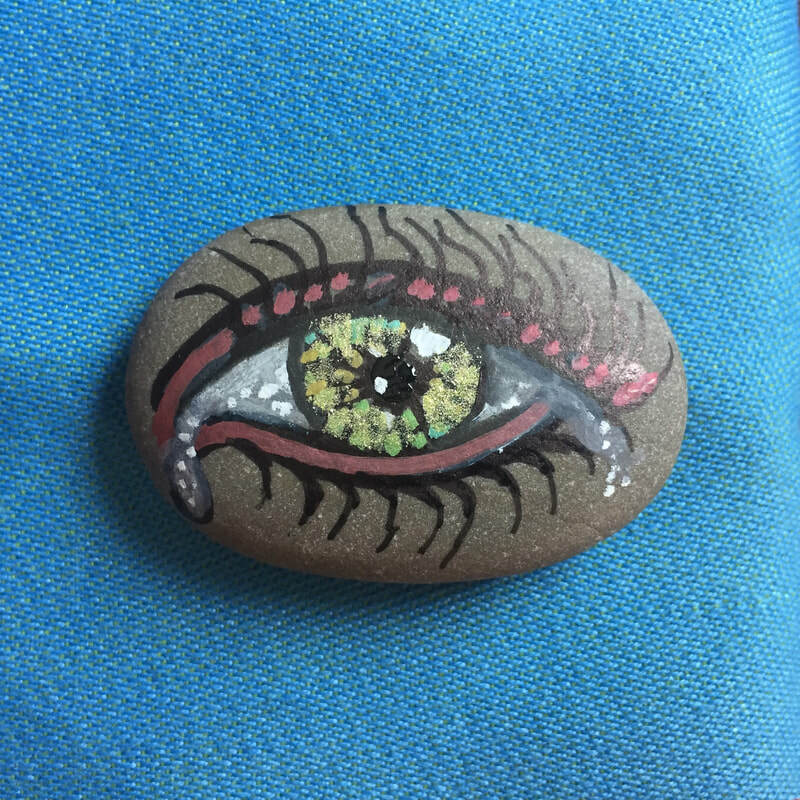 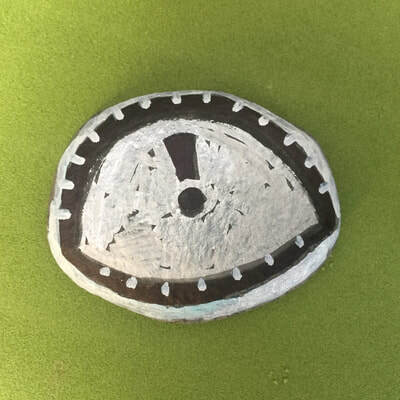 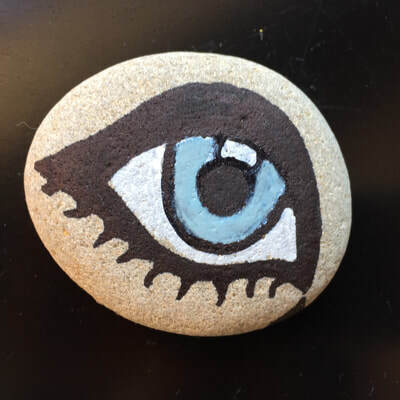 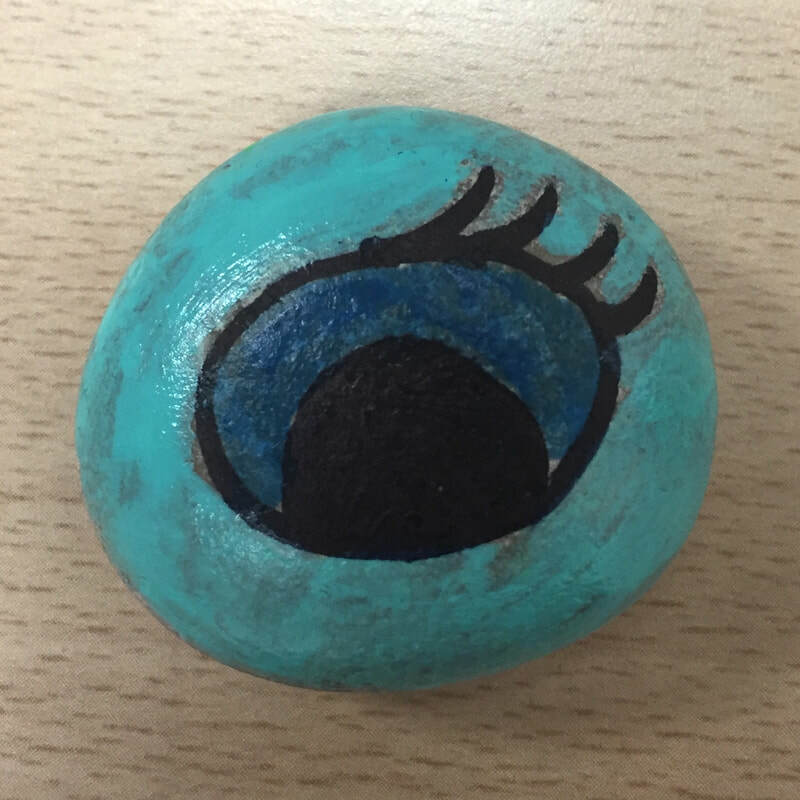 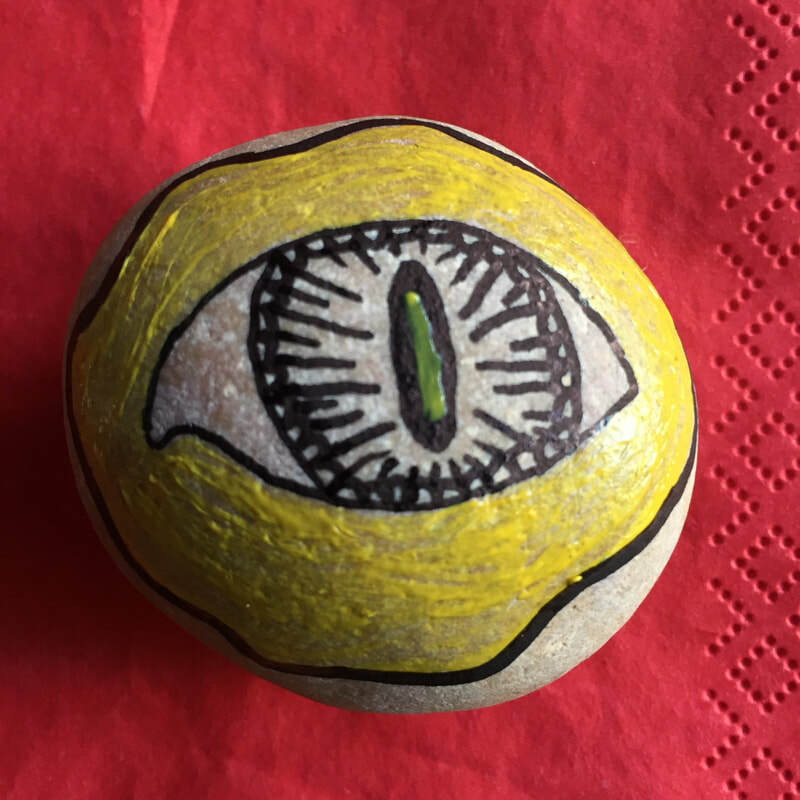 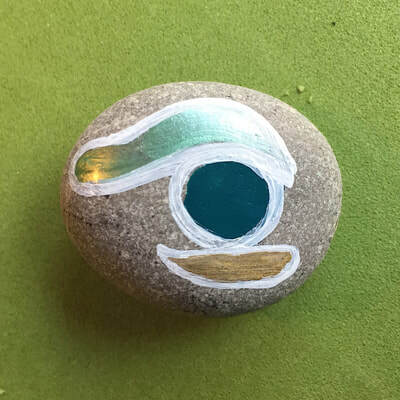 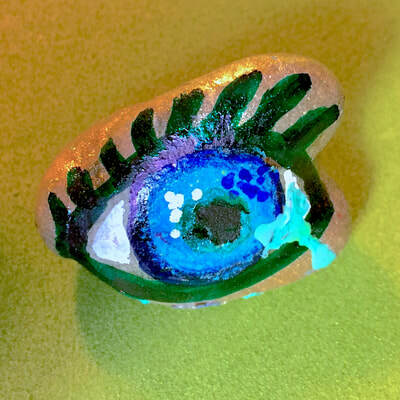 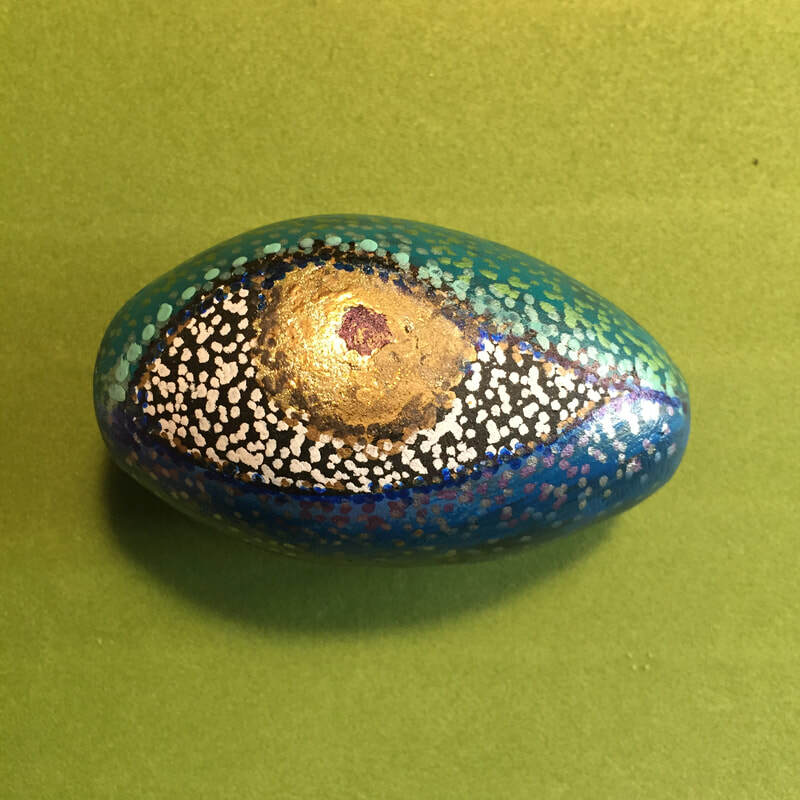 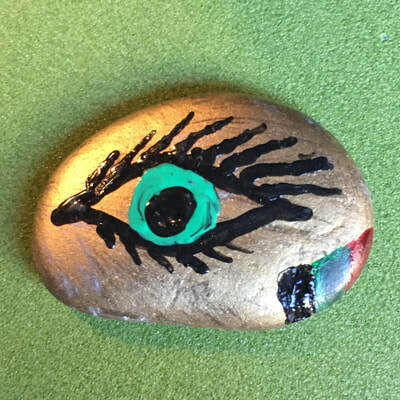 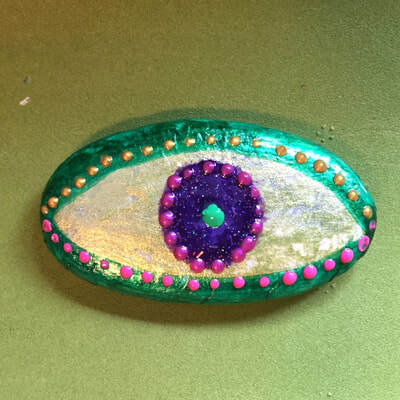 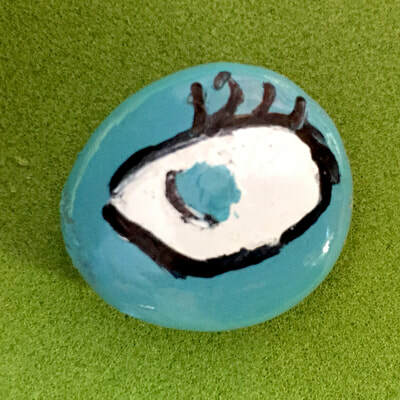 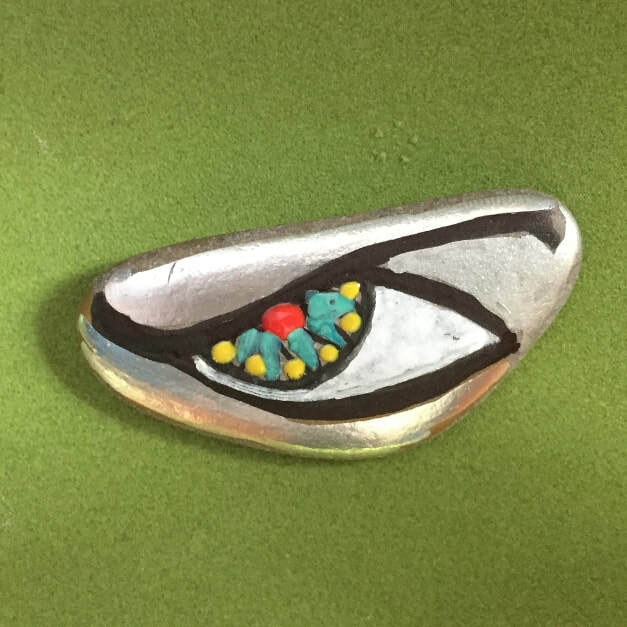 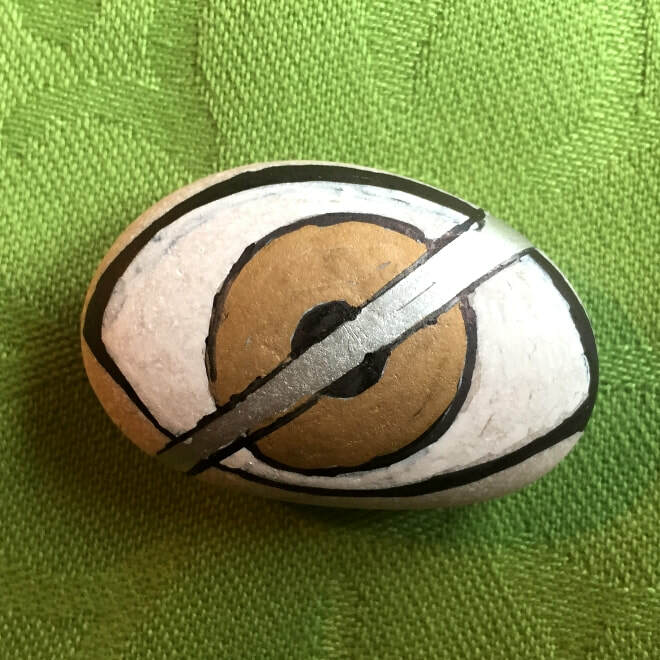 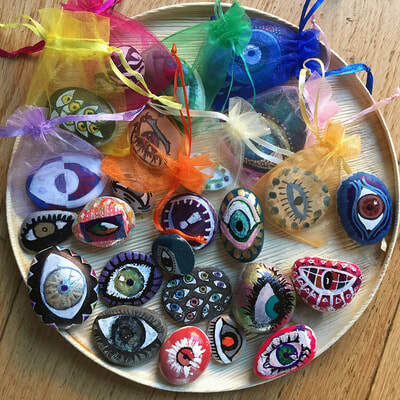 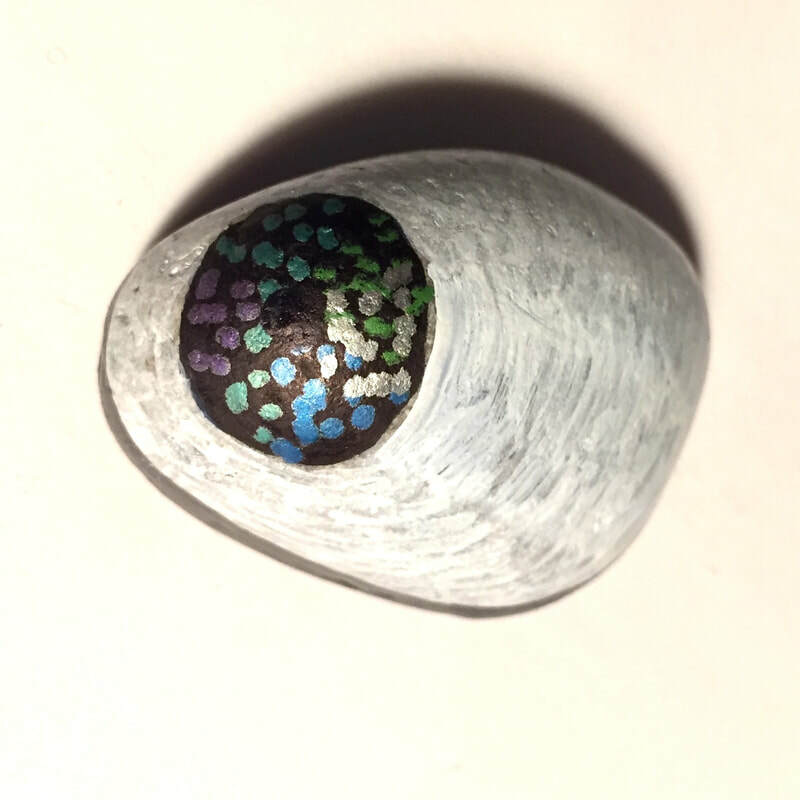 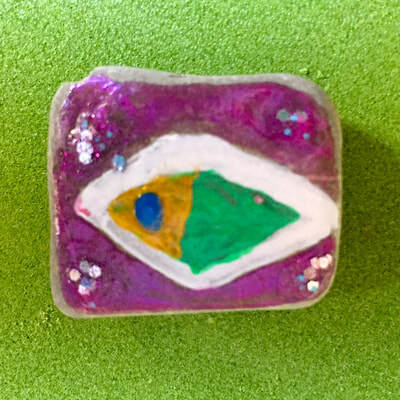 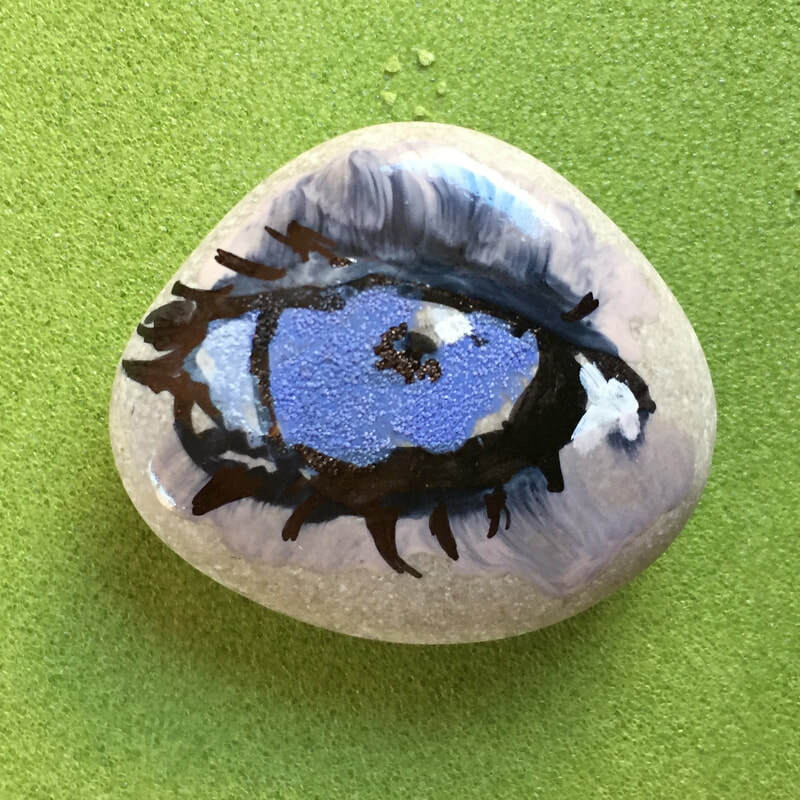 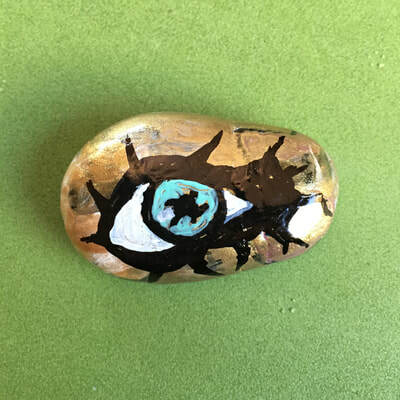 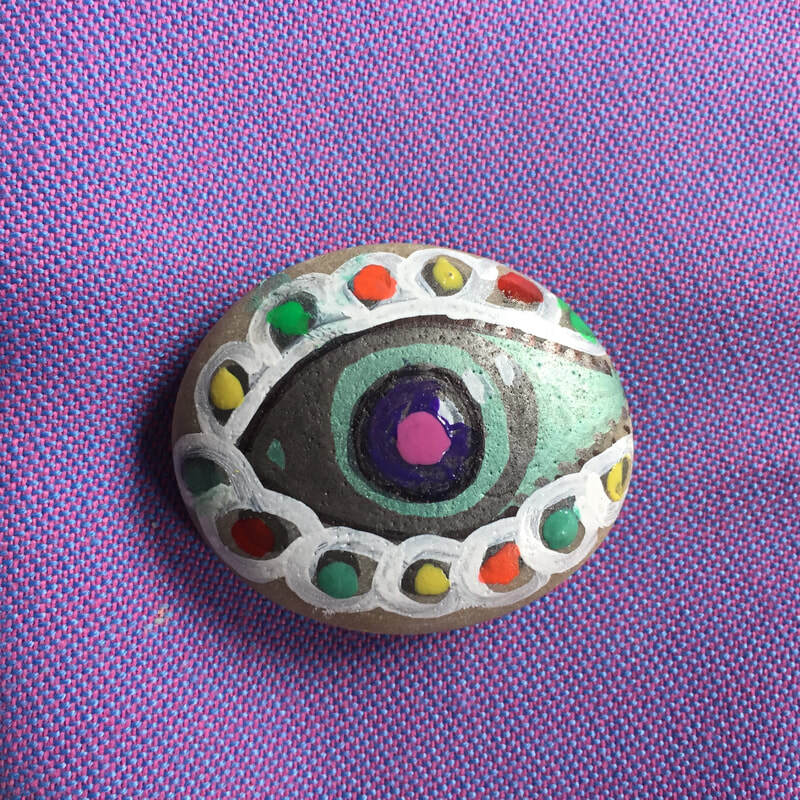 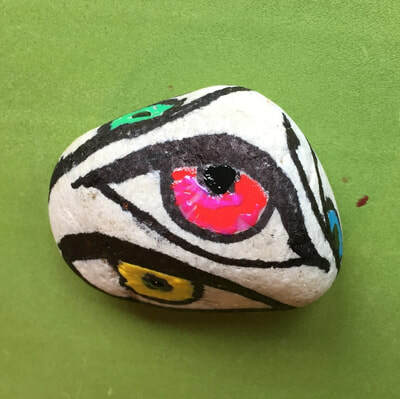 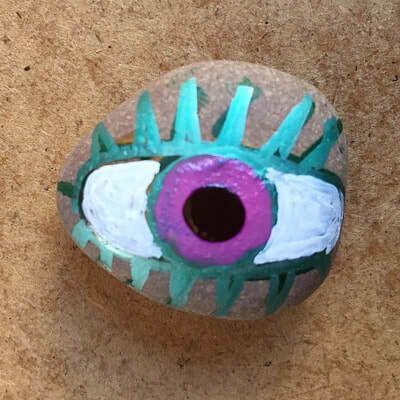 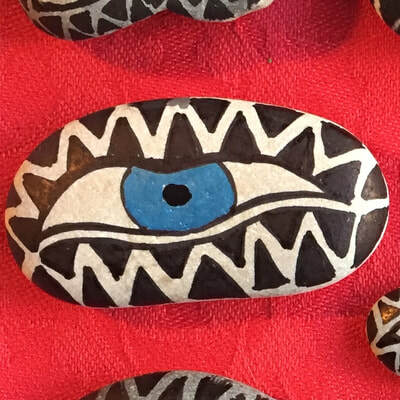 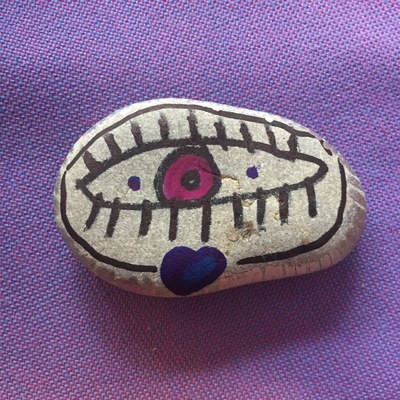 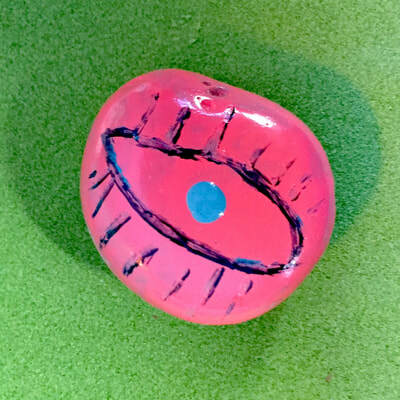 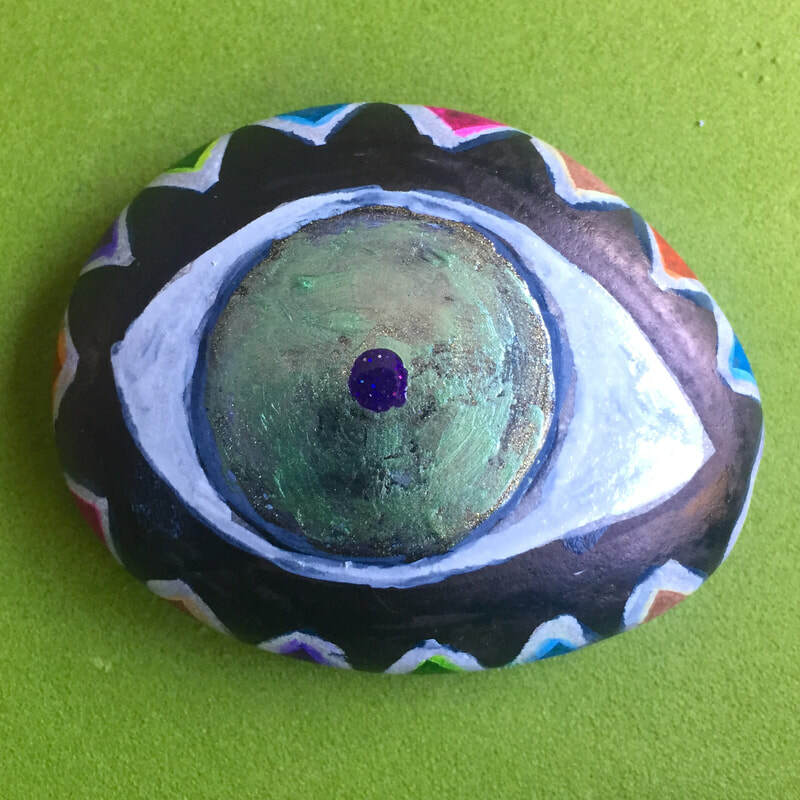 If you are a shop interested in participating in this project by offering a small space at the counter to place the stones, a moneybox and a Flyer, please dont hesitate to contact us: contact@ayetoeye.es You will not have to worry about anything, we will collect the money boxes and provide more stones when needed. 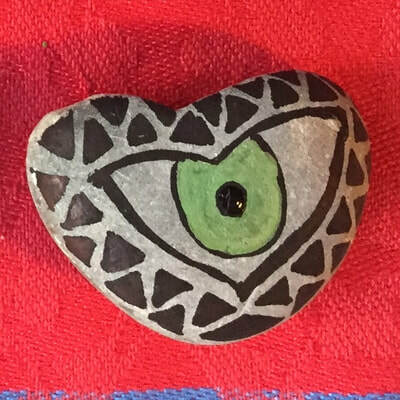 ¡Gracias por tu ojo que ve y tu corazón que siente! Thank you for your seeing eye and your feeling heart!